Turnkey Duplex on a huge lot with parking for as many as 15 cars or boats and RV's. Extra income potential for renting RV or boat space and a one garage is presently rented for 450 a month. Three Bedroom, Two Bath Two Level Unit is presently rented on a month to month lease. The Two bedroom, Two Bathroom Two Level unit is presently the owners unit and can be sold furnished/unfurnished. Each unit has a large 2 car garage. One garage has a bathroom in it with shower. Pride of ownership, it is obvious the owner has kept this in good care. Excellent curb appeal. Upgrades Include newer windows, beautiful laminate wood plank flooring, granite counter tops and new plumbing in 2005. Each unit has it's own back yard and patio and the 2 bedroom unit has a balcony. Walk-in closets, large pantry and even a sauna. Washer and dryer in garage but also in closet of the 2 bedroom unit. Separate meters, separate addresses for mail and utilities ie: 419 and 421. Walk/Bike to Huntington City Beach. Purchase It Now & Gain Equity!!!!!! COME ENJOY 'SAFE HAVEN FOREST RUNNING SPRINGS RETREAT' -UNIQUE 2 ACRE PARCEL- 2 ONE ACRE LOTS-EACH WITH THEIR OWN ADDRESS (1717 & 1777) AND ZONED 'RESOURCE CONSERVATION' WHICH ALLOWS MORE DEVELOPMENT OPTIONS THAN R-1 ZONING. CONNECTED TO THE NATIONAL FOREST ON 3 SIDES IT OFFERS LIMITLESS ACCESS TO NATURE TRAILS AND SOLITUDE - YET NEAR BIG BEAR AND LAKE ARROWHEAD. OFFERED FAR BELOW ESTIMATED REPLACEMENT COST OF $1.6 MILLION. LICENSED VACATION RENTAL INCOME IS MORE THAN $100,000 PER YEAR. 3927 SQUARE FEET, 5 BEDROOMS,5 1/2 BATHS(1 WHEELCHAIR ACCESSIBLE) +BRIGHT RESTING LOFT. BUILT IN 2011 TO MEET THE LATEST FIRE SAFETY & ENERGY EFFICIENCY STANDARDS. SLEEPS 28,LARGE LIVING/FAMILY ROOM,2 KITCHENS,2 COZY HIGH EFFICIENCY DIRECT VENT GAS FIREPLACES. RADIANT FLOOR HEAT FOR COMFORT AND ECONOMY. FULL SIZED LAUNDRY AND EXTRA LARGE WORKSHOP & STORAGE. EXTRA WIDE DECK ON ALL 4 SIDES GIVES INCREDIBLE PANORAMIC VIEWING OF THE SURROUNDING BEAUTY. TOP FLOOR COVERED BALCONY. PARK LIKE GROUNDS INCLUDE 1/3 ACRE ROCK TERRACED BOATING/FISHING POND, ROCK CREEK & WATERFALL,SANDY BEACH PLAY AREA,ROCK DAM/BRIDGE,FOUNTAIN & WATERFALL,FLOATING DUCK/TURTLE PLATFORM,GROUP GATHERING AREAS AROUND THE POND,1 WITH A TIPI,1 WITH METAL FIREPLACE & BBQ, 1 WITH ABOVE GROUND SWIMMING POOL,VOLLEY BALL,ARCHERY RANGE & FIRE PIT,CLIMBING WALL/RAPPELLING PLATFORM,AN 8 FT x 8 FT CHESSBOARD AND HORSESHOE PITCH, A 30 FT LONG GROUND LEVEL SUSPENSION BRIDGE & MINI ZIP LINE - PLUS A 200 FOOT LONG ZIP LINE THROUGH THE TREES AND ON THE POND. WOW. Just Invest In This Now!!!!!! Totally Turnkey and absolutely gorgeous this modern Two Level 3 Bedroom, 3 Bathroom Home has potential one floor living. The first floor boasts a huge master retreat with fireplace and walk-in closet. It also has an elegant bath with soaking tub, dual sinks and separate shower. There is a second bedroom presently used as an office on the first floor as it has it's own full bathroom. The first floor also boats a powder room for guests, a formal living room with fireplace, a formal dining room with builtin lighted buffet with wine cooler and a very modern fully equipped chef's kitchen with garden window and subterranean fridge. You never really have to leave the first floor but if you do you'll find yet another master bedroom with a full bath on the second floor and a large loft which makes a great game room/ office. There are multiple private patios one of which has an in-ground spa. A two car garage with epoxy flooring and an in-door laundry room that includes the washer and dryer. Excellent curb appeal, appealing Feng Shui and lush tropical plants. Award winning architecture. Prime Location, steps to Huntington Beach Civic Center and a short bike ride to the Beach. You can walk to Seacliff Shopping Center for a variety of dining and shopping. Move-in ready, freshly painted interior. Shows Well. Now You Can Enjoy The Approximately 2,600 Square Feet Of Living Area!!!!!! If you love living near Huntington City Beach but prefer a quieter location this is the perfect Two Level 3 Bedroom, 2.5 Bathroom Home for you. Tucked in the midst of a small prime beach community known as The Tides with steps to shopping and dining this beautifully updated Home has a gorgeous chef's kitchen with granite counters, new stainless appliances and gas cooking. Hardy wide plank wood flooring through the first floor compliments the chic design. The spacious living room has a fireplace, built in book or TV shelf and leads to a private back yard and patio. The master suite boasts a generous bath with soaking tub, separate shower and walk-in closet. There are two guest rooms and another full bath on the second floor and there is also a powder room for guests. An attached 2 car garage and a newer 4 ton air conditioner keeps the Home cool in the summer. You and the kids shall enjoy the community pool and spa and there is plenty of guest parking. It Has Approximately 1,787 Square Feet Of Living Area!!!!!! Feel those ocean breezes, you'll love living so near Huntington State Beach and just steps to restaurants, bars, shops, and even grocery shopping. You might not even need a car with this Home. This spacious Town Home boasts three bedrooms, and two and half baths and a 2 car garage with epoxy flooring. The wood flooring is gorgeous and wait till you look at the master bath - you'll be doing longer showers in the gorgeous tiled bath. The family kitchen comes with newer stainless appliances and has a roomy dining area. Most of the rooms have been freshly painted with designer colors. Musicians are going to love the "Music Room'. It also boasts Inside Laundry and the washer and dryer are Included! You'll also enjoy new carpet and newer double pane windows. On the Exterior you have a front yard area that does not look Into another Home and a private patio between the Home and garage. This Surfside By The Sea Community has such a low HOA in the City and so much to offer with 2 club houses, 2 pools and spa, a Basketball court, a picnic area and even playgrounds for the kids. Excellent Schools and popular Moffett Elementary. Enjoy Approximately 1,352 Square Feet Of Living Area Now!!!!!! Excellent location in a gated Greystone Landing Community near the beach and downtown Huntington Beach, this kid friendly neighborhood is a great place to raise your family. You'll find lemonade stands, hopscotch and kids riding bikes just like the good ole days. The Home is great too! Amazing 3 Bedroom, 2.5 Bathroom floor plan with a large living room/dining room combination the enters into the family room/ kitchen combination. The family room has a fireplace you can relax next to and the kitchen is well equipped and includes the stainless refrigerator, has tons of counter and cabinet space and a handy kitchen island in the center. The private patio is adjacent the kitchen and a perfect place to BBQ. There is a separate laundry room off the direct access 2 car garage and there is parking for two more cars in the driveway. Upstairs you'll find a very spacious master retreat with master bath that Includes a soaking tub and a nice big walk-in closet. Two more bedrooms on the second level, one with a balcony and another roomy bath with a tub and large vanity. You'll like the large association pool and spa and you are just a few minutes to all that Downtown Huntington Beach has to offer with surfing contests, The Pier, shopping and dining and Surf City Nights every Tuesday. All this Home needs is a new family to call it Home - make it yours. You'll Notice The Pride In Approximately 2,043 Square Feet Of Living Area Here!!!!!!!!!!!!!!!!! Beautiful curb appeal with stacked stone, concrete tile roof, very high quality ornamental gate, large driveway surrounded with a gorgeous drought tolerant landscaping, this La Cuesta Two Level Home is located in a very sought after neighborhood with great schools and large Langenbeck Park. After admiring the gorgeous landscaping, walk through a sitting area with big bay window before entering the very spacious Home with 4 bedrooms, 3 full baths and 2 bonus rooms both of which could be used as bedrooms as well as possibility of making it a 6 bedroom home, or making either a nice office or kids play room. The first floor has a remodeled bright kitchen with 2 bay windows, breakfast bar, dining area and newer stainless appliances including the fridge. There is a formal living room with bay window looking to the covered patio, and a large bonus room with fireplace, wet bar and slider looking at the gorgeous landscaping and banana tree. There is a full bath with a tub on the first floor. You'll find four bedrooms and two more full baths on the second floor and an additional bonus room, perfect for a craft room, kids play room or extra storage. You'll also enjoy the big 3 car garage with tons of extra storage and epoxy flooring. Nice quiet interior location. This Home has so much to offer and so much room - perfect for a large family that needs lots of rooms. You Get Approximately 2,475 Square Feet Of Living Area Here!!!!!!!!!!!!!!!!! This super cute single level 1 Bedroom, 1 Bathroom Condo sits next to the main building. 55 plus Senior Independent Living Community in the midst of Huntington Beach near shops, dining and more. This place is move-in ready and boasts a beautiful new kitchen with gorgeous cabinets and new stove. Gorgeous easy care tile floors through that look like wood makes cleaning a breeze and also perfect for wheel chairs and walkers to easily get around. The bathroom has upgrades as well. This Property is light and bright with a view of the park. Nice patio area faces park as well. One of only 15 that have a covered parking spot with lots of Storage. Five Points Shopping Center with Trader Joe's just down the street. Medical Building next door. A very short drive to the beach. The building has a meeting room with games and books. Low Hoa dues Include water, sewer, trash, gated parking, building insurance and maintenance. It's The Best Deal In Town With Approximately 561 Square Feet Of Living Area!!!!!!!!!!!!!!!!! This beautiful and spacious Downtown Two Level 3 Bedroom, 2.5 Bathroom Home excites you with the best of the Surf City Lifestyle. Walking distance to Lake Park, Downtown Main Street, Pacific City and yes, THE BEACH! Beautiful and bright, this well appointed Home has an excellent location backing to a nice greenbelt area with a park like setting giving it an added layer of privacy with no Homes backing, plus more natural light flowing through the Home than most downtown Homes. The updated kitchen has granite counters and a breakfast bar. The adjoining family room with a fireplace and gorgeous wood floors leads to the back yard that is perfect for entertaining and those year round BBQ's. The back yard has newer, a long warranty vinyl fencing and artificial turf so you never have to mow. The first floor also boasts a formal living room with fireplace and gorgeous wood floors and a formal dining room with high ceiling. You'll Love the durable terra cotta tile flooring in the high traffic areas. Upstairs you'll find a serene master bedroom with an exterior seating area and a private bath, complete with soaking tub. There are two additional bedrooms and a guest bath upstairs as well. On top of the spacious garage is a big sun deck, a great place to work on that tan. Located in the most sought after school areas in the city, this Surf City Beauty really has it all. Best Of All Is Your Approximately 2,100 Square Feet Of Living Area!!!!!!!!!!!!!!!!! Yes you can Live on an Island in the OC. Your beach Home awaits you. Amazing Sunset Island Ocean View Three Level Townhome feels like a model Home. Steps to Huntington Harbour and a little walk to the ocean where you'll find one of the OC's best beaches Sunset Beach . Watch the sunsets from your own balcony or even from your living room window where you can even see Catalina Island. This gorgeous Home sits in a spectacular location. Excellent floor plan with 2 bedrooms, 2 baths and a bonus room on one floor and an airy concept living area on the main floor with a half bath. Two long balconies give you exterior space as well to enjoy the ocean breezes and sunsets even more. You'll love the chef's kitchen with newer stainless appliances Including a large refrigerator and gas range. The master bath has dual sinks and a jetted tub to relax in after a long day of surfing across the street. Snuggle to the fireplace in the living room on those chilly winter nights and although you'll rarely need it given those great ocean breezes, this Home even has A/C for the warm summer days. Easy care new vinyl fencing and the attached 2 car direct access garage with new epoxy flooring makes even your car happy to Live here. You won't find a better beach House in this price range and no HOA dues, just an annual Home Insurance policy you split with the neighbor. Beach Living With A View Is At It's Best Prevails In This Approximately 1,384 Square Foot Property!!!!!!!!!!!!!!!!! Beautifully spacious updated Three Level Townhome with 3 bedrooms and 3 baths. You'll love the huge family kitchen with granite counters, custom cabinetry and gas cooking. Right near the kitchen you have a big balcony, perfect for year round BBQ-ing This prime location offers the best of both the Seacliff and Downtown Surf City areas and it's just minutes to Huntington City Beach and Pacific City. The spacious 2 car direct access garage has epoxy flooring and there is even an extra parking space. Nice big patio in front of the Home. The formal, yet cozy living room, boasts a fireplace. The master bedroom has a private bath and walk-in closet as well as it's own balcony. Ceiling fans in the bedrooms and the double pane windows and LED lighting keep your utility payments very low. An affordable way to own a spacious Home with the Surf City lifestyle! You Need To Look At This Approximately 1,700 Square Foot Townhome Now!!!!!!!!!!!!!!!!! Recently updated, this very spacious, gorgeous Two Level Landmark Yorktown 3 Bedroom, 2.5 Bathroom Townhome is tucked on a quiet street yet just minutes to the beach, steps to Bartlett Park, shopping and a variety of restaurants. Freshly painted with designer paint colors and new upscale carpeting, has it looking fresh and modern. You'll love the chef's kitchen with beautiful cabinetry, granite counters, top of line appliances and large kitchen island perfect for serving breakfast. A formal living room and formal dining room are perfect for entertaining guests while the kids play in the family room. There is a guest bath and laundry room on the first floor as well. The master suite boasts a private bath, walk-in closet and balcony. There are two more bedrooms and another full bath on the second floor. Plenty of exterior space with a covered patio on the back of the Home that backs to common area, and a patio on the front of the home as well. The good sized garage, with new epoxy flooring, makes even your cars happy in this great home. Take the family to the community pool and club house near here and enjoy more family fun. Plenty of guest parking to invite your friends. Truly a great move-in ready Home in a great family friendly neighborhood. This Approximately 2,132 Square Foot Townhome Could Be Yours!!!!!!!!!!!!!!!!! Here is your chance to live in the great Dutch Haven Marina Neighborhood at an affordable price, this 3 Bedroom, 2 Bathroom Single Level fixer Home looks great on the exterior but the inside needs a refreshing look. Recently painted exterior. Great curb appeal, nice landscaping. Excellent location. Inside tract and a short walk to Hope View Elementary School. Galley style kitchen makes it in-expensive to remodel. Fireplace in living room. Large back yard with big covered patio. Large driveway, 2 car garage. A few blocks to Central Park where you'll find the Equestrian Center, Dog park, Huntington Lake, Kathy May's Restaurant, play grounds, Shipley Nature Center and hiking trails. Act Now On This Approximately 1,176 Square Foot Home That Coul Be A Real Jewel!!!!!!!!!!!!!!!!! You'll love this Single Level 4 bedroom, 2 Bathroom Westminster family Home with a beautiful updated kitchen. Great location on inside tract, near parks, schools and shopping. The kitchen has gorgeous cabinetry, granite counters, a pantry, 5 burner gas stove, a center island with wheels and plenty of room for the family dining table. The very spacious living room has a fireplace and sliding glass doors that lead to the large back patio. The engineered hardwood floors are gorgeous and durable. This Home also boasts newer windows and doors, a Spanish tile roof, new epoxy garage floor, an attic fan plus central air. The back yard has several Orange and Lemon trees and a large covered patio. The bathrooms have also been remodeled as well. Now Enjoy The Approximately 1,445 Square Feet Of Living Area Here!!!!!!!!!!!!!!!!! Welcome to Sand Castle Estates, an exclusive Huntington City Beach near, gated community.. One of the few places you can Live in walking distance to the beach and have a large yard and private pool. Exceptional curb appeal, this gorgeous 4 Bedroom, 2.5 Bathroom Home sits on a good sized corner lot with a long driveway, stacked stone front, and beautiful landscaping. When you walk in enjoy the formal entry and see the large formal living room and formal dining room. The family kitchen has a center island, GE Profile collection double ovens and 5 burner gas stove. The kitchen garden window keeps it bright and looks at your back yard. The family room is adjacent to the kitchen and boasts a stacked stone fireplace with wood and a fun wet bar. Separate laundry room and first floor guest bath. Use the formal wide staircase and you'll find a very large master bedroom suite with a fireplace, a huge walk-in closet and private master bath with soaking tub, separate shower and dual sinks. All four bedrooms are very spacious as is the guest bath with dual sinks as well. The back yard is an entertainers delight with a large patio with a sensational water feature that wraps around the built in seating. There is also a BBQ island with fridge and a sparkling pool to keep the kids busy. Enjoy the tranquil garden setting on the side of the Home for mom to get her sanction and dad, yes there is a man cave in that big garage and custom cabinetry as well. This Home is move-in ready & waiting for the new lucky Family. There's Approximately 2,800 Square Feet Of Living Area In This Property!!!!!!!!!!!!!!!!! Unimaginable Opulence, the Trophy Home of the Neighborhood has the best unobstructed panoramic ocean, Catalina and city light views in all of Ocean Heights. This magnificent single level 4 Bedroom, 4 Bathroom Estate is Impeccably designed inside and exterior and comes furnished with gorgeous furniture designed especially for this home. Recently updated and more than 100k of glorious new landscaping (adding to the 250k of landscaping already there) on this oversized corner lot. The lush front entry leads you thru a villa inspired courtyard. The doors lead to a well appointed study with a dramatic 18 foot ceiling and one of four fireplaces. The spacious gourmet kitchen has expensive appliances, a Butler's Pantry and large center island perfect for entertaining your jealous friends. You'll find a spacious living area and glorious master suite both with ocean views. The luxurious master bath is fit for a King and Queen with separate vanities and a large walk in shower and separate soaking tub. You'll love the large walk-in cedar lined closet. There is a guest bedroom in the main house and two separate guest quarters one on the front of the property and one in the back with stunning ocean views. A rustic log covered patio with stone fireplace and built in seating for twelve is perfect for family gatherings and Imagine entertaining your guests in the infinity spa while they watch the sunsets and enjoy the 4 crystal glass and stone fire pits. The Views Can Get Any Better Than This In Approximately 4,000 Square Feet Of Living Area!!!!!!!!!!!!!!!!! Totally remodeled and gorgeous, this popular 2 Bedroom, 2 Bathroom Single Level Atrium Model is move in ready. The gorgeous kitchen has custom cabinets with easy access pull drawers, roll shelves in pantry, beautiful granite counters and cork flooring so you can cook all day and keep your feet comfortable. The living room is spacious with new plantation curtains for added privacy and the hardwood floors have been perfected and are absolutely gorgeous. Both bathrooms have been upgraded with custom cabinetry and the master has a walk in spa tub. You will love the private Atrium which brings the exterior in for added living space. There is also a new water heater. Huntington Landmark is an upscale senior 55 & Older Community located near Huntington State Beach with sensational amenities and activities. Enjoy the large heated swimming pool, tennis and putting green. The Club house has never ending activities to keep you busy such as dances, crafts, book clubs and games. You can also just sit near the pool and relax or enjoy your private patio. Enjoy The Approximately 1,091 Square Feet Of Living Area!!!!!!!!!!!!!!!!! Beautifully updated 4 Bedroom, 2.5 Bathroom Two Level Tustin Home with gorgeous new landscaping. You'll love the huge updated modern kitchen with birch wood cabinets, granite countertops, stainless appliances, gas cooking and breakfast bar. There is a large pantry as well. The kitchen looks at the private yard with fun rock hot tub to soak in after a hard days work. There is a formal living room, dining area, reading room or den with fireplace. An additional room presently used as a weight room can be used for formal dining or first floor bedroom. There is an office with garden window on the second level which looks at the living room. The spacious master retreat has it's own bath with luxurious soaking tub and separate shower and dual sinks. One of the large guest bedrooms is presently used as a media room or could be a second master bedroom. The large deck out back is quite private with no homes directly behind it. This beautiful Home is located in popular Tustin Meadows with a community pool and club house all for a very low monthly HOA dues. Walk to the park. Easy freeway commute and also near The Tustin Market Place. You'll Like The Approximately 2,243 Square Feet Of Living Area!!!!!!!!!!!!!!!!! Absolutely gorgeous La Questa Home. Perfect for a large family looking for a classy Two Level 5 Bedroom, 3 Bathroom Home in a prime neighborhood near the beach. Excellent curb appeal. Inside tract on a cul-de-sac. You'll love the large updated gourmet kitchen with sensational appliances including a double door dishwasher, 5 burner gas stove and warming drawer. Lighted glass cabinets, beautiful granite counters, wine fridge and pull shelves for easy access. Big kitchen island, pass thru to Formal Dining Room and spacious adjoining Family Room makes this a great place for the family to gather but wait there's so much more. A huge living room with fireplace and full bath on first floor. Very easy to add 1st floor master suite if needed but upstairs 5 bedrooms and 2 more full baths. The master bedroom has a gorgeous updated master bath with huge shower and custom cabinets. Plenty of room in the 3 car garage and room for RV parking as well. Nice patio in back yard and lush landscaping. This Home also boasts beautiful wood flooring, water softener and central air conditioning. It truly has it all and it's move in ready. Walk to Langenbeck Park. Now Relax In Your Approximately 2,700 Square Feet Of Living Area!!!!!!!!!!!!!!!!! Beautifully updated, this very spacious, Landmark Yorktown corner unit 3 Bedroom, 2.5 Bathroom Tri Level Townhome is move-in ready. The chef's kitchen comes complete with top of the line appliances including the Refrigerator. The microwave even has a convection oven. Beautiful cabinetry and gorgeous granite counter tops. You'll love the floor plan. The good sized 2 car garage with epoxy flooring has direct access to the inside laundry room (which includes a washer and dryer) and bonus room. A few steps up and you'll find your main living area with a huge living room with cathedral ceilings, dining area and the gorgeous kitchen which leads to a private patio looking at the pool. The master retreat has it's own floor and it is also very spacious with high ceilings, a balcony, two closets and private bath. The next floor has two bedrooms and a shared bath with a soaking tub. This gorgeous home includes newer windows and French doors, designer paint colors and upscale flooring. Relax in the community pool, clubhouse and walking paths. Excellent location, steps to Bartlett Park, just a 5 minute drive to the beaches, shops and plenty of restaurants. Excellent maintained neighborhood and water and trash is included in the HOA. It doesn't need a thing but a new family to live there. It Has Approximately 1,967 Square Feet Of Living Area!!!!!!!!!!!!!!!!! One of the best values in the Seacliff area, this gorgeous 2 Bedroom, 2.5 Bathroom Three Level Townhome is located in a private and beautiful area of this upscale neighborhood. Walk thru the charming patio to enter the front door where you'll find gorgeous wood flooring that leads to a formal living room with a fireplace and wet bar. The dining room looks at the living room and room for a large table and china buffet. You'll love the chef's kitchen with stylish Bosh Oven and Microwave, there is a breakfast bar, adjoining family room and balcony. Upstairs you'll find a large loft that can be used as a third bedroom or office. The master bedroom has two walk in closets, a balcony, a large master bath with jetted tub and dual sinks. A second bedroom and full bath are also on this floor and there is a powder room for guests to use on the main floor. A perfect home for those who love to entertain. The garage is very spacious and has direct access to the home. There is brand new upscale carpeting in the bedrooms. It's truly move-in ready. Fabulous location, a short walk to one of the pools, you can walk to the beach, the country club, shops and restaurants galore. Top rated schools as well. Guard gated community. It's a fabulous opportunity to live in one of Huntington Beach's most prestigious neighborhoods where you at surrounded by multi million dollar homes. It's The Best Value In Approximately 2,043 Square Feet Of Living Area!!!!!!!!!!!!!!!!! Super Hip Costa Mesa Home - you're going to love it. Step Inside to Spanish Tile Floors, a big bay window in the living room and a fireplace too. The Kitchen is glorious with the big Island, beautiful kitchen cabinetry, a wine rack, gas range and oven, built in book case and desk and it leads to the living area for that bright feeling we all love. You'll find 3 bedrooms and 2 updated baths on the first floor but wait till you get to the spacious loft upstairs which is presently used as the master bedroom. It has it's own updated bath as well and walk-in closet. The front yard is nicely landscaped and even has Two Avocado trees for your picking pleasure. The private backyard surrounded by Ficus trees comes with a Hot Tub - party on! The patio has an exterior ceiling fan and they are even giving you the Gas BBQ. You've even got your own vegetable garden, a lemon, lime and banana tree so you can get busy making those Daiquiri's and yes it has RV PARKING - Jimmy Buffett concert here we are! Not only it is a great House but what a location - walk to Fairview Park, bike to the beach on the near bike trail and you are even minutes to the Golf Course. It doesn't get much better than this! Pride Reflects This Approximately 2,000 Square Foot Property!!!!!!!!!!!!!!!!! You'll love this beautifully remodeled Two Level 3 Bedroom, 2 Bathroom Lighthouse Home. The gorgeous gourmet kitchen is huge with a big kitchen island with a wine cooler. It has also boasts gorgeous custom cabinets, slate counters and the back splash tiles are imported from Greece. There is even a fireplace in the kitchen, a garden window and maple hardwood floors. Entertain your friends in the back yard with the built in BBQ Island, sparkling heated pool and 8 person jetted spa. Inside you'll find more entertainment features to Include a stylish wet bar and formal living room with a fireplace. Two good size bedrooms are on the first floor and a full bath that has just been updated. The second floor boasts a large master bedroom suite with a private bath. The master bath has a relaxing jetted spa tub with beautiful tile. There is also a loft area perfect for the kids to play or to make a TV room. The office area has a skylight for extra light. Enjoy the nicely landscaped yard with grape vines and fruit trees. If you want you can relax by the Koi pond. The garage has direct access to the Home. The Home is freshly painted inside and exterior with designer colors, has brand new carpeting in living room and bedrooms, upscale Casablanca ceiling fans, double pane windows, tile roof, Plantation Curtains and many, many new upgrades. Walk to Drew Park while being Just minutes to the Beaches, Shopping and great Schools. You'll Get Approximately 2,100 Square Feet Of Living Area Here!!!!!!!!!!!!!!!!! You'll love this light and airy beautifully upgraded 2 bedroom, 2 bath spacious Senior Condo located in one of the best areas in the community. Enjoy having your breakfast on the large covered balcony looking at a park like setting with lovely trees. The bright kitchen has brand new easy care flooring and brand new appliances. Both bathrooms have been updated with new vanities and tile flooring. The living room is very spacious with room for all the grandkids to come visit. A separate dining area is next to the kitchen. Brand new carpeting in living area and bedrooms. Freshly painted all around with designer paint colors. Washer/dryer is included with this lovely home. The private garage is near and there is plenty of guest parking at this location. Enjoy all the wonderful amenities this popular resort Huntington Landmark has to offer, including two heated swimming pools, spa, a gym, putting green, tennis courts, craft room, library, billiards room, scheduled events, great neighbors and more! This place also Includes a chair lift to the second level shared with the second floor residents so you can enjoy the privacy and views of a second floor home without dealing with some stairs. It Has An Immaculate 1,066 Square Feet Of Living Area!!!!!!!!!!!!!!!!! Just listed - You'll Love this totally turnkey Santa Ana Single Level 3 Bedroom, 2 Bathroom Home with gorgeous updates all around. The gorgeous kitchen boasts beautiful custom cherry cabinetry, built in wine rack, stainless appliances, granite counters, tile back splash, recessed lighting. A large family room adjoins the kitchen and makes a nice eating area or gathering place. The back yard has a beautiful sparkling pool and 10 person spa which was recently updated a covered patio and beautiful landscaping. The pool Includes an automatic sweeper and pool cover. This Home has much to offer Including custom window coverings, marble floors, cathedral ceilings, a living room fireplace, freshly painted inside and exterior and A/C. Even the garage has a completed floor and drywall. Parking for as many as 6 cars and RV parking. Excellent location toward the conclusion of a quiet cul-de-sac, walk to Thornton Park, very near South Coast Plaza and easy freeway access. It's Evident Of Pride In Ownership In This Property!!!!!!!!!!!!!!!!! This Franciscan Fountains Two Level 5 Bedroom, 2.5 Bathroom Home is in a fantastic location just blocks to Central Park and minutes to the beach. You can tell from the moment you walk in the door this Home has been well cared for. Very clean and move-in ready. The large living room and formal dining area have brand new carpeting. The updated sunny kitchen adjoins the family room with fireplace and looks at the spacious back yard. Before you enter the direct access garage you'll find the laundry room and the washer and dryer are Included. The garage has a new floor and a work area. Upstairs you'll find a spacious master bedroom suite with an adjoining room that some use as a 5th bedroom. It makes a nice office/den. Three additional bedrooms are also upstairs. This is the popular model C, plan 4 edition with the "parent saver retreat". There is a front balcony and back deck for extra exterior space. At the near Park you'll find lakes, hiking trails, horseback riding, sports courts, fishing, bird watching, Central Library, two restaurants, playgrounds, dog park and more. A great place to live and perfect place to raise a family. Relax In Approxmately 2,250 Square Feet Of Living Area Here!!!!!!!!!!!!!!!!! You can really enjoy the Southern California lifestyle in this spacious Single Level 4 Bedroom, 2 Bathroom Huntington Village Home with fantastic indoor/exterior Living Spaces. You'll love the huge family room addition that leads to a gorgeous bright air covered patio and an exterior kitchen island. A great place for family gatherings and just entertaining guests. You also get RV parking. A fun bright kitchen with eating space and the original living room can be a formal dining room if you like. A cozy fireplace is located in the living room. Both bathrooms have been updated. The front courtyard provides privacy and an extra play area for the kids or the perfect place for another patio and garden. An attached 2 car garage with direct entry. Great Inside Tract location. Walking distance to Meadowlark Golf Course as well as shops, schools, parks and minutes to Beaches. You'll Like The Pride In Ownership That This Approximately 1,600 Square Foot Property Has!!!!!!!!!!!!!!!!! Got toys? This single level Dutch Haven American Home is located on an huge sized corner lot and has an expansive 4 car garage and gated RV access which includes a clean area. The 3 Bedroom, 2 Bathroom Home also boasts a bright floor plan with beautiful laminate, easy care wood flooring through the entire Property. Both bathrooms have been upgraded and one has a soaking tub. The newer windows and doors come with a warranty. Other upgrades include copper plumbing, new electrical including a new electrical panel, new sewer lines and a tank-less water heater. The large yard has a vegetable garden and you can also enjoy the Interior covered patio. Interior tract location and not far from the beach and Huntington Harbour. You'll Like The Approximately 1,279 Square Feet Of Living Area Here!!!!!!!!!!!!!!!!! One of the most elegant 4 Bedroom, 3 Bathroom Three Level Homes in all of Huntington Beach, from the moment you walk thru the doors you'll begin to notice the designer touches. Beautiful slate floors on the first floor and high quality hardwood on the second level. Extra wide crown molding, and plantation curtains as well. The spacious kitchen has a huge breakfast bar with beautiful counters and exquisite cabinetry. The six burner stove and double ovens make cooking a chef's delight in this gorgeous gourmet kitchen that opens to spacious family room with built in cabinetry to show off your prized possessions. The first floor bedroom is presently used an office/den and has it's own private entrance. The master suite is huge with his and her closets and a large elegant bath with soaking tub, separate shower, and dual vanities. Both guest bedrooms on the second floor have their own baths and balconies. The third floor bonus room is perfect as a billiards room, library or play area for the kids. You will also enjoy the private patio with pond and a it's a short walk to the association pool and sports courts. This gorgeous Home is located in the popular Seacliff area of Huntington Beach, with award winning schools and just minutes to the beach, parks and shopping. It's Nearly 2,600 Square Feet Of Living Area Is Very Gracious!!!!!!!!!!!!!!!!! This spacious 4 bedroom, 3 Bathroom Westminster Home with a large yard has newer kitchen cabinets and updated baths. You'll enjoy the huge bonus room and the kids shall like the big playhouse in the back yard. The bright floor plan is perfect for family gatherings. The living room has a fireplace and Travertine flooring for easy maintenance. The back yard is huge and private with no Homes behind it. The Home has air conditioning and the very large yard has fruit trees and plenty of play area. There is a direct access 2 car garage and a driveway to accommodate at least 2 more cars. Excellent location with easy access to the freeway and you can walk to stores. Look At The Size, Approximately 1,860 Square Feet Of Living Area!!!!!!!!!!!!!!!!! Best location in Newport Terrace of Newport Beach is this corner unit that has unobstructed views through the canyon to the ocean. Two bedrooms, one on each side of the Condo and 2 full baths makes for a perfect living space for 2 room-mates. This hidden gem is nestled amongst wooded canyons with hiking and biking trails to the beach. The community has lots of amenities including a pool, spa, picnic and BBQ areas and a sport court. There is also plenty of guest parking spots near this Home. There is a covered carport near the back door. The Home is in need of remodeling but you can find location like this for a well priced Home. Enjoy Approximately 1,000 Square Feet Of Living Area With Potential Galore!!!!!!!!!!!!!!!!! This spacious updated 4 Bedroom, 3 Bathroom Tri Level Home is located at the conclusion of a quiet cul-de-sac and boasts a nice big yard perfect for the growing family. You will love the huge family kitchen with breakfast bar, tons of cabinet and counter space and walk-in pantry. You can entertain your guests in the formal living and dining room located on the middle level while the kids play in the large family room downstairs in this contemporary Home. A bedroom and bath room are located on the first level and 3 more bedrooms and 2 more baths are located on the top level one of which is a large master suite with private bath. A huge sun deck off the front of the home for even more out door space and the master bedroom boasts it's own balcony. The yard is very spacious and professionally landscaped. There is a spacious shed (Man-cave) adjacent to The House as well just in case you need even more room than the good sized 2 car garage. A great Home in a great neighborhood with award winning schools and best of all Huntington Beach Central Park is just a few blocks from where you will find horseback riding, fishing, bird watching, Shipley Nature Center, The Central Library, Sports fields, the new Senior Center and much more to keep your family busy and if that is not enough, it's just 5 minutes to the Beach. Irresistable In Every Aspect Describes This Approximately 2,408 Square Foot Franciscan Fountains Property!!!!!!!!!!!!!!!!! Very, very spacious Westminster Two Level Home that can easily be a 7 bedroom Home. Large enough for 2 families or a board and care facility. Presently there are 5 bedrooms, 2 of which are double rooms. The first floor has 2 bedrooms one of which was originally 2 bedrooms and has 4 closets. There are also 2 bathrooms on the first floor one of which was recently upgraded and a third bathroom upstairs. The second floor has 3 bedrooms, one of which is a double room. In addition to a spacious formal living room and dining area there is also a very large enclosed sunroom that extends across the entire back area of the home. There is direct access to the 2 car garage. The exterior has a spacious private gated courtyard in front. The Home has been freshly painted inside and exterior and has new carpeting. Original owners, very clean and neat. Excellent location near a brand new housing tract and not far from Mile Square Park in one direction and Little Saigon in the other. Plenty of shops and dining are near here and a short drive to the beaches. Absolutely Incredible In Approximately 2,800 Square Feet Of Living Area Here!!!!!!!!!!!!!!!!! This beautiful, spacious single level Franciscan Fountains 4 bedroom Home with a large bonus area is located just a block to Beautiful Central Park on an interior tract with no Homes located in back of the Home for added privacy. The bright floor plan in the main living area is perfect for entertaining. The contemporary kitchen has clever counter space to serve your guests while they enjoy the gorgeous marble fireplace. The spacious living and dining areas can accommodate a large party and the large floor to ceiling garden window makes for lots of natural light with an indoor/outdoor feeling for a true Southern California lifestyle. The original living room makes a great office or 5th bedroom. There is also a separate laundry room and 2 car garage. This beautiful home also boasts a spacious master bedroom, 3 additional bedrooms and 2 tastefully updated bathrooms. There are fruit trees surrounding the patio in the private back yard. Excellent location just a block to Central Park where you can enjoy hiking, fishing, horseback riding and more. Bike ride to the beach or a 5 minute drive. Best Of All It Is Approximately 2,400 Square Feet Of Living Area On A Single Level!!!!!!!!!!!!!!!!! Welcome to resort style sophistication with the best of both worlds at Seacliff On The Greens where you can walk to the country club for tennis and golf or head to the beach for surfing. This beautifully appointed Two Level 4 Bedroom, 2.5 Bathroom Home exudes modern elegance and charm. The impressive court yard leads you to the front door which leads to a formal entry taking you to the spacious living area with high ceilings, beautiful wood floors and an impressive staircase that leads to the second level where you will find a romantic master retreat with fireplace and balcony. The retreat also boasts a large spa type bath with soaking tub, separate shower, dual sinks and vanity. No need to fight for closet space, this suite has 2 walk-in closets. There are also 2 guestrooms, one of which has an extra room that can be used as an office. sewing room/playroom. The well appointed gourmet kitchen, has 2 ovens, a 6 burner stove and plenty of cabinet and counter space and an adjacent butlers pantry with laundry room. This masterfully crafted Home even boasts a spacious first floor family room that could be converted to a second master bedroom. If you are looking for low maintenance luxury near the beach in a quiet secure setting, this is your new home. Welcome to Surf City. Contemporary Elegance Prevails In This Approximately 2,600 Square Foot Residence!!!!!!!!!!!!!!!!! Beautifully remodeled 3 bedroom, 2.5 bath Huntington Contenintal Two Level Townhome in excellent, quiet location facing large greenbelt. Gorgeous updated kitchen with granite counter tops and newer stainless appliances. Even the newer stainless fridge is included. Spacious eating space in kitchen. Full size washer and dryer included. Freshly painted interior and brand new upscale carpeting. Snazzy windows and doors. Newer hot water heater. All 3 bathrooms are updated. The master bedroom has it's own bathroom as well. The living room has a fireplace. Private patio leads to covered parking. Enjoy the community pool, spa, playground and clubhouse. A total remodel, even the drain and supply lines to the upstairs bathrooms were replaced. Short drive to Huntington State Beach and short walk to shopping and dining. Move in ready and gorgeous. The Exterior is being painted this year. You Now Know Why This Approximately 1,150 Square Foot Townhome Shines!!!!!!!!!!!!!!!!! Step inside to one of the most gorgeous homes in Fountain Valley. It's more than just a nice place to Live. This Single Level 5 Bedroom, 3 Bathroom Home boasts many upgrades. The bright kitchen is beautiful with self custom cabinetry, gorgeous granite, a center island and garden window. All the kitchen appliances including the fridge are included. The spacious formal living room has a fireplace and beautiful hardwood flooring. This Home flows nicely to the family room which also boasts beautiful hardwood flooring and leads to a huge master suite with an elegant private bath that includes a jetted soaking tub and separate shower and there is even a large walk-in closet. One of the two additional guest bedrooms has a private bath, sunny bay window and murphy bed which is included. The suite addition is large enough for a second family or makes an excellent in-laws quarters. A two car garage with epoxy flooring and built in cabinets have plenty of storage area and you will also enjoy the workshop in the back yard. Located on a quiet cul-de-sac and backing to a large greenbelt, you'll enjoy both a quiet and private setting which you can enjoy even more in your private 8 person spa. You'll Get Approximately 2,400 Square Feet Of Quality Living Area Here!!!!!!!!!!!!!!!!! This prestigious downtown Home is located on a huge good sized lot. A featured Home on the Orange County Coastal Luxury Home Tour, this gorgeous Two Level Home boats 4 bedrooms and 4 baths You'll love the gourmet kitchen with maple cabinetry, stainless appliances and granite counter tops. Other amenities include a study with a fireplace, a ground floor bedroom and bath, a third floor bonus room perfect for entertaining along with a large deck which boasts a 8 person hot tub and gazebo. One of the few homes downtown with a garage and a driveway so you have easy parking for 4 cars plus street parking. 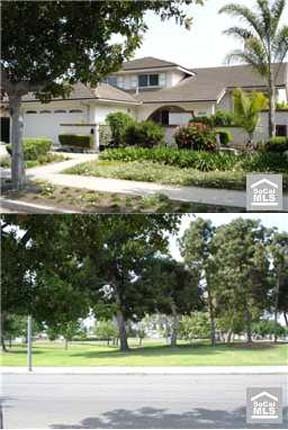 It also boasts central air and it is just blocks to the famous Huntington City Beach. Enjoy dining, swimming, surfing all just a few blocks from here. You Can Now Move In To This Approximately 3,125 Square Foot Property On A Year's Lease Basis!!!!!!!!!!!!!!!!! This is the best location in Huntington Beach, walk to Central Park, the lakes, library, sports center, equestrian center, schools, restaurants and shopping and ride your bike to the beach. This spacious updated Franciscan Fountains Tri Level Home with an interior tract location in excellent family neighborhood has the most desirable floor plan. The main floor has a spacious living room with fireplace and vaulted ceilings, dining room and brand new kitchen with all new stainless appliances, eating area that leads to a shade patio perfect for the BBQ. Step down 3 steps to the extra large family room, bedroom and full bath. On the top floor is a very spacious master bedroom with private bath, 2 more bedrooms, another full bath and huge deck that could be used for even more space. Extra large 2 car garage has direct access to the Home. Private back yard with 2 patios. Other features include brand new furnace, new carpeting, upgraded windows and doors and freshly painted interior and exterior. Enjoy Approximately 2,200 Square Feet Of Living Area Here Where It Has Been Well Maintained From The Original Owner!!!!!!!!!!!!!!!!! This elegant Bolsa Landmark Two Level 4 Bedroom, 3 Bathroom Home is beautifully appointed with designer paint colors, quality flooring and carpeting and very attractive upgrades. Enter from the spacious front patio which is warm and inviting with gorgeous earth-tone stonework. Invite your guests to the formal living room with rich wood flooring and a fireplace. The first floor den can easily be converted to a spacious bedroom. The large dining room leads to the kitchen which boasts a large subzero fridge, LG double ovens, granite countertops and you will love the garden window. Take a step on the exterior to the heated pool, park like setting with brand new artificial turf and even a fire-pit area on the spacious side patio. Four bedrooms upstairs all with brand new upscale carpeting and designer paint colors and includes a very spacious master bedroom with walk-in closet. All bedrooms have ceiling fans. Spacious 3 car garage. This Home even has RV parking on the side. A short bike ride to the beach and very short walk to Central Park where you can enjoy hiking, fishing, horseback riding, picnicing, bird watching, the dog park, Central Library, The Sports Complex and more. It Has Approximately 2,114 Square Feet Of Like New Living Area!!!!!!!!!!!!!!!!! $150,000 of upgrades all remodeled within the previous year make this stunningly beautiful four bedroom, two bathroom Anaheim Home is as near as you get to a brand new Home. There is nothing better than to have a new Home in a well established neighborhood like this. Not only does this home have top of the line cosmetic upgrades but also new copper plumbing, new electrical including new panel, new roof, new dual pane energy efficient windows, new doors, new central A/C, new furnace, new sprinkler system, and the list goes on and on. No expense was spared, the kitchen boasts expensive mahogany cabinets with soft drawers, beautiful marble counter tops and stainless appliances. The master bedroom is spacious with built-in cabinets and drawers and the 3 additional bedrooms are all a good size as well. Beautiful hardwood and tile flooring throughout. Both bathrooms have elegant custom tile work. Recessed lighting. Inside laundry. Large detached garage with new garage door. Back patio and lovely private back yard. You can walk to the nearby shopping center. Not only is this gorgeous Home making you happy but it's very near the happiest place on earth, Disneyland!. Relax In Approximately 1,377 Square Feet Of Clean Living Area Here!!!!!!!!!!!!!!!!! This beautifully appointed Three Level Home located on Sunset Island is a beach lover's paradise. Homes rarely come on the market in this quaint area of Sunset Beach located between Huntington Beach and Seal Beach behind Captain Jacks Restaurant. This custom built, turnkey 2 Bedroom, 2.5 Bathroom Townhome is a designers delight. Soaring ceilings, incredible light, designer paint colors, modern kitchen, gas cooking, beautiful built in shelving in the living room as well as a fireplace to snuggle up to on cool nights. The custom window coverings add an extra touch of class. Both bathrooms are elegantly appointed. Indoor laundry with washer and dryer included. Designer touches throughout the home including travertine and high end wood laminate flooring. Even an exterior shower to wash off from the beach, a small courtyard and balcony for BBQ-ing. A great place to entertain your jealous friends. Extra large garage with plenty of storage. Walk to numerous restaurants, shops and farmers market. Steps to kayaking, fishing and you won't believe the glorious sunsets this town is famous for. Come to the island and enjoy luxury beach living at an affordable price. In This Winner You Get Approximately 1,216 Square Feet Of Living Area With A View!!!!!!!!!!!!!!!!! Absolutely WONDERFUL OCEAN VIEWS! Immpecable 2 bedroom, 2 bathroom Home in amazing location on the ocean side of town in wonderful Sunset Beach where life is easy and sunsets are glorious. Very spacious rooms, huge master suite with huge master bath both with great ocean views. Relax in your spa tub while looking at the waves! Beach view balcony for more spectacular views. Bright floor plan with large living room, adjoining kitchen and dining room. Plenty of room for entertaining you. Well equipped kitchen includes Fridge. Shared garage. Washer and dryer use. This fun little beach town of Sunset is located between Huntington Beach and Seal Beach. Walk to 27 bars and resturants. Surf, swim, fish or just sit back and enjoy those glorious sunsets. You'll Be On The Beach In Approximately 1,600 Square Feet Of Living Area Here!!!!!!!!!!!!!!!!! WOW!! What a great property! Much larger than it looks from the Exterior. This model perfect, move in ready Single Level 3 Bedroom, 2 Bathroom California Heights Home in an exclusve Long Beach Area with custom upgrades features the finest in hardwood flooring, crown molding, custom paint, and designer qualities galore. Spacious formal living room w/large bay window. French Mullioned windows in the living and dining rooms. New Plantation Curtains throughout. A Newly remodeled gourmet kitchen with high line stainless appliances. Breakfast bar to family room w/raised hearth fireplace. Two guest bedrooms with coved ceilings & walk-in closets. Master Suite w/fireplace and double French doors to raised brick terrace. Master bath with huge, glass walled shower. Pergola covered patio overlooking beautifully landscaped rear and side yards. New sod front and rear. Air Conditioning. Mature Avocado tree in back yard. California Distinguished and Green Ribbon Longfellow Elementary School. Pride of Ownership Home. Enjoy More Than 1,600 Square Feet Of Remodeled Living Area Here!!!!!!!!!!!!!!!!! Just imagine looking from your window to your own Beach. This luxurious waterfront Two Level 4 Bedroom, 3 Bathroom Home is in the guard gated Coral Cay Neighborhood of Huntington Harbour that has its own beach & boat dock! The gourmet kitchen has beautiful solid cherry cabinets, gorgeous granite, Dacor double oven with warming drawer, large built- in fridge and enjoy a fabulous harbor view while you cook. The family room also has solid cherry built-in cabinetry. The formal dining room looks on to a quiet fountain and has a wine fridge and extra dishwasher to make it easy after entertaining. The formal living room has a beautiful stone fireplace and also boasts views of the Harbour. There is a first floor bedroom with bath and patio area. The spacious exterior patio area is perfect for entertaining and flows right to the private beach. It even boasts a private spa. Upstairs the spacious master bedroom has more glorious views and it's own bath with dual sinks and a spa tub. There are 2 more bedrooms upstairs one of which also has views of the Harbor. This Home truly shows pride of ownership with a huge list of upgrades including A/C, newer electrical panel, newer boat dock, and Milgard windows. Buy before the holidays and you get front row seats to the boat parade as it makes it's turn right in front of your new Home! More Than 3,300 Square Feet Of Pristine Living Area Makes This Property Sparkle!!!!!!!!!!!!!!!!! Beautifully updated single level Coral Shores 3 Bedroom, 2 Bathroom Home backs to acres of Langenbeck Park. This gorgeous Home boasts excellent curb appeal, exterior painted in 2014 and it even has A/C! You'll love the gorgeous engineered ironwood flooring. The living room has a fireplace to cozy with. The chef's kitchen is stunning with Madura gold granite countertops, beautiful cabinetry, even a wine cabinet and breakfast bar. The bathrooms are also updated and the master bedroom has paneled closet doors. This home also boasts a good sized garage, copper plumbing, a reverse osmosis water softener and a gas BBQ. Excellent location in quiet neighborhood within Fountain Valley School District. Walk to restaurants, shops and a playground. More Than 1,200 Square Feet Of Living Area Makes This Property A Jewel!!!!!!!!!! You'll Love with this beautifully upgraded Single Level 3 Bedroom, 2 Bathroom Flamingo Park Pool Home. Excellent location located on inside tract with very large yard. The covered patio and large deck makes it a joy for exterior entertaining. The Kitchen upgrades include a garden window, new cabinets and a double oven and both bathrooms were remodeled just 2 years ago. The 4th Bedroom was converted to enlarge the Family Room off the Kitchen. The formal living room has a fireplace. This Home also boasts, plantation curtains in the bedrooms, a newer A/C unit, upgraded and expanded electric service panel, easy care vinyl dual pane windows, ceiling fans in bedrooms, living and dinning rooms, LED lighting, newer 6 panel interior doors. The pool has a removable fence and cover. 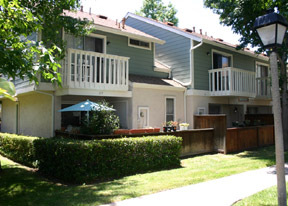 Located near Mile Square Park, Fountain Valley Recreation Center, schools, shopping and dining. It Has Approximately 1,600 Square Feet Of Living Area With Pride!!!!!!!!!! Two Homes on one lot in Garden Grove, this is a real deal for investors, two families or those that need mother-in-law quarters or maybe a place for the grown kids that just won't leave home. The main home is attractively updated and has 4 bedrooms and 2 full baths. You'll love the spacious family style kitchen with center isle and room for a large table where the entire family can get together. There is also a formal living room with fireplace, hardwood floors in the bedrooms and living room and easy care tile in the kitchen. The spacious master bedroom has it's own bathroom. The second home with it's own entrance, has two bedrooms both with large walk-in closets and one full bath. You will love the modern kitchen and cathedral ceiling in main living area. The property has fantastic curb appeal. The exterior has been freshly painted and many of the interior rooms as well. This home also boasts a very large yard and patio area. Excellent location, near plenty of shopping and dining and there is a day care center within walking distance. The Bonus Is Approximately 2,300 Square Feet Of Living Area!!!!!!!!!! Gorgeous newer Sunset Beach Three Level Home with amazing ocean views, Four bedrooms, one of which is on the first floor and Five Total Bathrooms. You'll love the gourmet kitchen with butlers pantry, beautiful granite counter tops, refrigerator and wine cooler. The master suite has built-in cabinetry and an elegant bathroom that includes a large granite vanity with dual sinks. The roof top deck has spectacular views of the coastline, mountains, harbor and city lights and is perfect for entertaining with it's BBQ and sink. The polished wood floors, soaring ceilings and fireplace make an elegant yet cozy living area. Spacious two car garage. Handy Dumbwaiter form garage to each floor makes getting groceries to the kitchen easy. Sunset Beach is a small, historic beach town located between Seal Beach and Huntington Beach with a town post office, a quieter, quaint beach and shops and restaurants in easy walking distance. Relax InThe Approximately 2,250 Square Feet Of Living Area!!!!!!!!!! Offered At: $5,000 A Month on a Yearly Lease Basis!!!!!!!!!!!!!!!!! Located in The fabulous senior guard gated resort community near Huntington State Beach, this very spacious single level townhouse style home has so much to offer. Start with the excellent location in a quiet area of Huntington Landmark. Two very spacious bedrooms with two baths, one with a tub and one with a shower. There is a bonus sunroom which is a short walk to the garage making getting the groceries in easy. The kitchen has a sunny window that looks at the spacious front patio. Very large living area with handy built-in buffet for entertaining. PlantationCurtains for added privacy. Recently professionally painted interior, scraped ceilings, brand new carpeting and super clean make this Home move-in ready. Washer, dryer and Refrigerator included. You'll love all Huntington Landmark has to offer with the large swimming pool, golf, tennis, pool hall, library, community center and plenty of activities. You've worked hard all these years now go have some fun! Retirement At It's Best In This Approximately 1,287 Square Foot Property!!!!!!! Excellent location, this Huntington State Beach near Single Level Seahaven 4 Bedroom, 2 Bathroom Home has great curb appeal with freshly painted exterior and interior. Fabulous upgrades include updated kitchen and brand new baths.. Living Room features fireplace, wood floors and french doors looking at the large back yard with patio and fire pit, perfect for entertaining. Located just minutes from Downtown with shops and restaurants. Move In Ready In This Approximately 1,200 Square Foot Showplace Property!!!!!!!!!! SOLD!!!!!!!!!!!!!!!!!!!! CHERYL REPRESENTED THE BUYER ON IT!!!!!!!!!!!!!!!!!!!!!!!!! Magnificent Cassis single-level Home in a class of itself! Best panoramic ocean/city view in Ocean Heights--no rooftops! Impeccable Tuscany-designed interior & exterior featuring custom beamed ceilings, wood & stone flooring. Lush front entry leading through a villa-like courtyard. Superbly appointed living room with dramatic 12-foot ceilings--two separate entrance casitas. Masterfully designed center courtyard visible throughout, with 10-foot stone gated walls, a classic urn fountain and reflection pond. Richly decorated master suite with ocean view, luxurious master bath with step-in shower. Laundry connected to walk-in cedar-lined closet. Three interior fireplaces plus an outdoor stone fireplace anchoring a rustic log-covered patio with built-in seating for 12. A separate stunning sun/view patio at the property edge--surrounded by four crystal glass & stone fire pits neighboring a custom designed black marble infinity spa. Three guest quarters--one with ocean view at the edge of the property---breathtaking panorama--one of only a very few lots in Ocean Heights with no view obstructions. One of the owners is a licensed real estate broker. Unbelievable In Approximately 4,000 Square Feet Of Living Area Makes This Property Shine!!!!!!!!!! Absolutely beautiful, this stunning Two Level 4 Bedroom, 3 Bathroom Home boasts a hard to find spacious first floor bedroom presently being used as a formal dining room. The downstairs bath has a tiled shower. Perfect for those who want to live downtown but can't handle the stairs on a daily basis. 3 additional bedrooms and 2 more baths upstairs to include a huge master suite with walk-in closet, master bath and balcony. Large bright custom kitchen with walk-in pantry, center island and granite counters. Formal living room with fireplace. Move-in ready, freshly painted exterior and interior with designer colors. Plantation Curtains and new wood flooring. Private patio with bar. 2 car garage with new epoxy flooring. Easy maintenance vinyl fencing. Excellent location, 6 blocks to Huntington City Beach which means more parking and less noise. The Charming Beauty Has Approximately 2,400 Square Feet Of Living Space!!!!!!!!!! You Can Keep It As Is!!!!!!!!!! This Beautiful Two Level Landing 4 Bedroom, 3 Bathroom Home is located in a popular neighborhood near Huntington City Beach, Central Park and top rated schools. You'll love the upgraded kitchen with elegant cabinetry and beautiful granite counters. The cozy family room is adjacent to the kitchen and there is a formal dining area on the other side of the kitchen. The Home also boasts a large formal living room with fireplace. The master suite is huge with a large walk-in closet and master bath with large soaking tub. This Home also boasts a downstairs bedroom and bath. You'll Get More Than 2,600 Square Feet Of Living Area Here!!!!!!!!!! Perfect for the large family needing lots of bedrooms, this elegant 7 Bedroom, 4 Bathroom Two Level Prestige Home was re-built in 2002. You'll love the bright floor plan and a large gourmet kitchen with beautiful granite counters, tons of cabinet space, a large circular breakfast bar and quality appliances including a viking range make it a joy for the entire family to cook together. The kitchen leads to the patio with a BBQ island so you can have the party in the beautifully hard-scaped back yard. Yes there is a first floor bedroom and bath perfect for relatives. The grand master bedroom is large and elegant with a fireplace, a large walk-in closet and it's own elegant bath with soaking tub, separate shower and dual sinks. The office has vaulted ceilings and soaring cherry-wood built-in book shelves. The spacious laundry room is conveniently located on the second floor. The garage has epoxy flooring and built-in cabinets. This Home has superb curb appeal and is located on a cul-de-sac in an excellent neighborhood near award winning schools including St. Bonaventure and play at Chris Carr Park. This Is The Largest Property In This Neighborhood Equalling Approximately 3,840 Square Feet Of Living Area, Incredible!!!!!!!!!! You'll be in love with this move-in ready, model perfect, immaculate Pacific Ranch Townhome. Totally remodeled from floor to ceiling it feels brand new. 2 Spacious Bedrooms, and a Spacious Loft. The kitchen has gorgeous granite, with lots of counter and cabinet space and under cabinet lighting. All brand new Frigidaire Gallery Series stainless appliances including refrigerator and 6 burner stove with griddle, washer and dryer also included. Expensive, wood grain porcelain flooring in the hallway, kitchen and baths stand to just about anything and always looks great. Beautiful new textured carpeting in living room, loft and bedrooms. Closet has organizer. Upgraded baths with gorgeous granite and new toilets. New Hot water heater. New electrical. Romantic fireplace with custom mantle. Recessed lighting and ceiling fans. Cathedral ceiling in living room makes it bright and airy. Private patio looks onto the trees and quiet greenbelt. One car garage and a one car carport. Enjoy the guard gated community with association pools and gorgeous grounds. Walk to Shopping and Bike to Huntington City Beach. Relax In The Approximately 1,340 Square Feet Of Living Area Here!!!!!!!!!! Beautiful newer 3 Bedroom, 2.5 Bathroom Two Level Patio Home. This House shows elegance from the moment you walk in the front door. The rich wood floors are gorgeous. The formal living room has a fireplace. The kitchen has beautiful granite counters, a center island and rich maple cabinetry. Stainless appliances and 6 burner gas stove. The spacious dining area has room for a large table and china cabinet. Upstairs you'll find a large master retreat with a walk-in closet. Relax in the jetted soaking tub. Dual sinks and separate shower with seamless glass doors. There are two additional bedrooms and an office area. Bathrooms have granite counters and maple cabinetry. The laundry room has room for a full size washer and dryer and is located on the second floor. Spacious 2 car garage with direct access. Great location on a cul-de-sac with no traffic. Located bike riding distance to Huntington City Beach, Main Street Downtown and you can walk to shopping and dining as well. It Has A Quaint Charm In It's Approximately 1,715 Square Feet Of Living Area!!!!!!!!!! Gorgeous Single Level 3 Bedroom, 2 Bathroom Olive Park Home with excellent curb appeal located in a prime area of Huntington Beach where you can walk to The 350 acre Central Park with lakes, fishing, hiking, restaurants, horseback riding, Dog Park, Central Library, an exterior theater and so much more and it's just a 5 minute drive to Huntington City Beach. This updated Home has a large modern gourmet kitchen with sub zero fridge, 6 burner gas DCS stove, hideaway microwave, center island, cook book shelves and beautiful granite counters. Large dining area big enough for large table and china cabinet. New carpet in bedrooms. New master bath has large shower and dual sinks. Second bathroom also updated. Cathedral ceilings and newer windows makes this home light and bright. Formal living room with cozy brick fireplace. Beautifully landscaped yard with a hot tub. Houses on this Street very seldom come on the market. Your Bonus Is Approximately 1,700 Square Feet Of Pride In Ownership Living Area!!!!!!!!!! This is The Largest Model in Westminster Village. This is a huge 4 Bedroom, 3 Bathroom Two Level Townhome. Excellent location with easy access to the freeway and adjacent to Huntington Beach and Seal Beach. Family room with fireplace next to Kitchen. newer stainless stove. Large living/ dining area. Downstairs bedroom makes a great office. Spacious bedroom upstairs one of which is HUGE. Spacious two car garage. Private patio leads to a greenbelt area. Tons of amenities including Swimming Pools, Spa, Sauna, Tennis Courts, playground and clubhouse all with a low affordable HOA dues. Best Of All You Get More Than 2,500 Square Feet Of Living Area Here!!!!!!!!!! Luxury, Spacious 4 Bedroom, 2.5 Bathroom Fransican Fountains Two Level Pool Home within walking distance to Huntington State Beach. Exceptional curb appeal. The perfect Home for entertaining with a sparkling pebble tek salt-water pool with water fall and spa. Built-in Viking BBQ grill and private lush landscaping. The entire back of the Home has been expanded to provide a large family room adjacent to the kitchen which has all new stainless appliances. Plenty of room for hosting large parties. Got a piano? There is room for the entire band. The formal living room has a large built-in bookcase for all your fine art and pottery which brings even more class to this stunning luxury Home. Two dining areas, one formal and one informal with more built-ins. The large master suite has a spacious, sunny office area right next to it and one of the additional bedrooms has an adjacent room for game playing, watching TV or studying. There is a very large bedroom on the 2nd floor that was originally 2 rooms. Brand new carpeting, freshly painted with designer colors, this home really has it all. Inside tract location on super nice corner lot. This More Than 3,000 Square Foot House Has Motivated Sellers!!!!!!!!!! Rarely on the market, this spacious 3 Bedroom, 2.5 Bathroom Townhome in La Cuesta By The Sea has the feel of a Single Family Home and is just a short walk to Huntington City Beach. Bright kitchen with new stainless appliances. Large living room with vaulted ceilings, skylights and fireplace. First floor powder room. Spacious dining area has room for china cabinet and large table. Very large private patio with vegetable garden. Spacious master bedroom with master bath and his and hers closets. Two 2 good size additional bedrooms. All bedrooms have ceiling fans, closet organizers and plantation curtains. Easy care flooring on the first level, perfect for kids and pets. Large completed garage with direct access. Plenty of storage space and attic space. Excellent location at the conclusion of a cul-de-sac with plenty of guest parking. Wonderful family community with large greenbelt, tennis court and club house. New roof and exterior paint and streets recently paved. Relax In This More Tban 1,500 Square Foot Ocean Near Property!!!!!!!!!! This Gorgeous Lakewood 4 Bedroom, 3 Bathroom Two Level Home shows pride of ownership on steroids. Impeccably kept and so beautiful with excellent curb appeal located in a popular neighborhood a block from Del Valle Park. Updated modern kitchen, with tons of cabinet space, pull shelves, organizers, breadbox, and pantry. Breakfast bar, reverse osmosis water filter, stainless appliances, Viking professional microwave, Electrolux oven, GE profile Fridge included. Copper plumbing, newer A/C and Furnace. Inside laundry room includes washer and dryer. Southwest style large living room with cathedral ceilings, Casablanca ceiling fan, surround sound, large stone fireplace and wet bar. First floor master bedroom and bath with walk-in closet. Additional bedroom or office also on first floor. Two more bedrooms upstairs one of which is huge with huge walk-in closet and balcony. Floor safe. Beautifully landscaped back yard with BBQ island with u-line fridge and newly rebuilt Fire-magic grill. Finished garage with storage cabinets, roll up garage door, security lights and pull down stairs to attic. New gate, RV parking. New stucco in 2013. More than 250k in upgrades. It's Expanded & Now Highlight More Than 2,400 Square Feet Of Living Area!!!!!!!!!! Complete remodel and expansion in 2006, this stunning Lakewood Two Level 5 Bedroom, 3 Bathroom Home features a large gourmet kitchen with gorgeous granite, stainless upscale Thermador appliances, 6 burner stove, double oven with warming drawer, huge breakfast bar, glass display cabinets, cabinets have lazy susan, spice rack, bread box, a cutting board and more. Large Master Suite with the closet and bath of your wonders and an exterior balcony. Luxury master bathroom has dual sinks and large shower with 2 shower heads. Closet has organizers and vanity. Formal living room on first floor, family room adjacent to kitchen with fireplace. Huge upstairs bonus room. Upstairs Laundry. Additional upgrades throughout the home include tankless water heater, front & back automatic sprinklers, 5-ton A/C unit & large heater, new copper water supply lines throughout, new PVC drain lines throughout, all new electrical, hardwood flooring. Completed detached garage with new roll up door & cement flooring. Large enough for 2 families with 2 bedrooms and 1.5 baths down and 3 bedrooms and 2 full baths up. The gorgeous home with excellent curb appeal in located just a block from the popular del Valle Park and McArthur Elementary School. You'll Want To Purchase This Approximately 2,702 Square Foot Property Now!!!!!!!!!! Perfect for a large family, this beautiful Remodeled Two Level California Classic Lake Series Home is located across from Huntington Central Park. Like a new home there was a complete remodel and expansion in 2004. 2 of the 5 bedrooms and 2 of the 4 bathrooms are located on the 1st floor which make a perfect mother-in-law suite, office or even a rental. The custom chef's kitchen has cherry cabinets, Black Beauty granite counter tops, under counter lighting, a dual pantry with pull shelves and a brand new stove. The large great room and dining alcove have vaulted ceilings and lead to the upstairs loft which makes a nice game room for the kids. The great room also has two Casablanca ceiling fans with lights. This Home also boasts a large master bedroom with bathroom and walk-in closet upstairs. All upstairs bedrooms have walk-in closets; downstairs bedrooms have oversized closets and all closets are California Closets. The back patio is nicely hard-scaped and has fruit trees & fountain. Casablanca ceiling fans with lights and remotes are in all the bedrooms. Premium Amtico wood finish flooring. 300 square feet of insulated attic space. 75 gallon water heater. Fabulous location, just steps to The Equestrian Center, Dog Park, Lake Huntington and a short bike ride to Huntington City Beach. House With More Than 2,300 Square Feet In This Location Never Come On The Market!!!!!!!!!! Fabulous location just 3.5 blocks to Huntington City Beach and a short walk to downtown attractions and The Pier. This elegant, move-in ready Two Level 3 Bedroom, 2.5 Bathroom Home has just been freshly painted on the interior with designer colors. This House offers an easy flowing floor plan with the formal living room leading to a spacious front patio. The dining room is located conveniently between the kitchen and living room. The kitchen has a large breakfast bar that seats six and adjoining family room with fireplace The master bedroom has vaulted ceilings and a romantic fireplace. Watch the sunsets from the master bedroom balcony. The huge master bath offers a good sized soaking tub. this home has plenty of closet space, the master offers a large walk-in and the secondary bedrooms both have spacious closets as well. The 2 car detached garage is completed off with painted drywall and there is a large private patio located between the family room and garage. This Gorgeous Property with excellent curb appeal is very bright and absolutely immaculate. It Has Approximately 2,100 Square Feet Of Living Area!!!!!!!!!! The gorgeous custom home, just steps to the beach boasts 3 bedrooms plus a 3rd floor bonus room which leads to a large roof top deck with fireplace which is perfect for those who love to entertain. No fighting baths as this home has 5. Professionally designed on the interior and has new carpeting and is freshly painted with designer colors. Travertine flooring on the first floor. The chef's kitchen has a large thermador built-in refrigerator & stainless appliances and adjoining family room which also opens to a private patio and large fountain. The formal living room has a fireplace & there is a formal dining room. The master bedrooms has a peek-a-boo ocean view and fireplace and large master bath. The front patio with lush landscaping also has a fireplace and fountain. This fabulous home also boasts 5.1 surround sound sonace speakers recessed in the ceilings and hardwired security system. You can see Catalina Island from the pee-a-boo view on the third floor and the master bedroom and 3rd floor deck also has ocean views. Looking for a large yard? The lot next door is also for sale. Just one and a half blocks to Huntington City Beach and an easy walk to all the downtown Main Street attractions. A truly stunning home, you won't be disappointed. Enjoy This Approximately 2,800 Square Feet Of Living Area Snazzy Property!!!!!!!!!! T his spectacular ocean view 2 Bedroom Two Level Home is sure to please. A complete remodel with more than 200k in elegant upgrades, you'll love the expanded gourmet kitchen with rich cabinetry, expensive quality fixtures, gorgeous granite, huge island, garden window and stainless appliances. The rich hardwood floors flow through out the home. All 3 bathrooms have elegant cabinetry, gorgeous granite and you'll take extra long showers just to bathe in the beauty of them. You'll fall in love with the spectacular ocean views. Located on the quiet side of the building, imagine having dinner on one of your balconies watching the Sunset then spend some time in the spa, move to the romantic master bedroom and listen to the waves, then look out your bedroom window to check out the surf. Ahhh So Sweet! No expense has been spared, making it the most equisite home of it's kind. You won't be dissapointed. Just across The Street is Huntington Dog Beach and Huntington City Beach. You'll Get Approximately 1,200 Square Feet Of Living Area With A View Here!!!!!!!!!! You Get Approximately 1,641 Square Feet Of Living Area Here!!!!!!!!!! Beautiful Two Level Courtside Home in fabulous neighborhood. You'll love the back yard with the fruit and avocado trees, lovely brick patio and swing set. The sunny kitchen has a garden window and adjoins the family room which has a fireplace. The formal living room has cathedral ceilings and adjoins a formal dining area. Follow the dramatic staircase to 4 bedrooms, two with adorable motifs your children will love. The spacious master bedroom fits even a king size bed. The master bathroom is huge and has all the conviences you desire. Plantation shutters throughout the home for added privacy. Two car direct access garage and full driveway. Wonderful Neighborhood and just a short walk to the pool and tennis courts for more family fun. Excellent schools, no Mello Roos and shopping and dining are all near in Irvine. You Get Approximately 1,958 Square Feet Of Living Area!!!!!!!!!! This Village Court Three Level Home has Approximately 1,640 Square Feet of Living Space says simply WOW. Professionally designed. Fabulous upgrades and best location. This 3 Bedroom Home backs to the widest part of the greenbelt, yet just a short walk to the pool. Upgraded chef's kitchen with butler pantry and new stainless appliances including a 5 burner gas range. Eating area in Kitchen. All 3 Bathrooms have been upgraded with beautiful granite counters. Gorgeous hard wood floors and custom fireplace mantle with built-in entertainment center. Formal dining room. The patio has beautiful stone work and custom lighting in the planters. Designer paint colors throughout. Spacious Master bedroom. Master bath has dual sinks. Large 2 car direct access garage and 2 additional parking spaces in driveway. Enjoy tennis, the swimming pool, a dog run and very reasonable HOA Dues. The exterior is scheduled to be painted in November. Great location. Walk to Five Points Plaza that has shops and restaurants and very near to Huntington City Beach and Main Street In Downtown Huntington Beach.. Excellent curb appeal and location. This lovely updated and expanded single level Coral Shores 3 Bedroom, 2 Bathroom Home is located on an insde tract at the conclusion of a cul-de-sac on a huge lot. You'll love how spacious this home is. Large, sunny family room addition surrounding the updated kitchen is perfect for family gatherings. This home has hardwood plank flooring in the living areas and hallways and new carpeting in the bedrooms. Both bathrooms have nice upgrades as well. Formal living room with fireplace. Many areas have been freshly painted with designer colors chosen by a Professional Interior Designer. Extra wide driveway fits several cars. Huge yard and patio off family room. 2 car garage. Easy freeway access yet just a few miles from Huntington State Beach and a block to Langenbeck Neighbohood Park. Pride In Ownership Shows Well In This Approximately 1,600 Square Foot Home!!!!!!!!!! This Elegant Single Level Franciscan Fountains Home has been expanded and upgraded. Total Remodel interior and exterior. Excellent curb appeal, making this home the best looking in this family friendly neighborhood. Large Bonus Room can also be used as 4th bedroom or office. The Beautiful Pebble Tech salt water pool & spa sits in a very private back yard and you'll enjoy entertaining with your BBQ Island with grill & fridge. Chef's kitchen with granite counters, self closing drawers, spacious pantry, stainless appliances and sunny garden window. 3 beautiful bathrooms with granite and travertine, one with jetted tub. Everything in this home, including the roof has been upgraded within the previous 5 years. Looks and feels like a brand new home. Walk to Lake Huntington, Shipley Nature Center, a Disc Golf Course and an Equestrian Center all at Central Park. It Has Approximately 2,100 Square Feet Of Gracious Living Area!!!!!!!!!! Perfect for a large family and lots of roommates. Each room has it's own entrance. Nice big corner lot. Very clean with great upgrades. 3 bedrooms, 2 Bathrooms and a bonus room. Beautiful Kitchen with new stainless appliances and beautiful granite countertops. RV/boat parking on the side of the house. 2 car garage and spacious driveway. This neighborhood is quiet and you don't hear the busy traffic and it's walk able to a beautiful park which is something that Long Beach prides itself in and wins national awards. You Get All Of This As Well As Approximately 1,468 Square Feet Of Living Area!!!!!!!!!! Absolutely Gorgeous, this penthouse style home shows like a model. This is the largest Villa model with 2 large bedrooms, an office (can be used as 3rd bedroom) all on one level and a large loft above. 2 full bathrooms and one half bathroom. Beautifully remodeled with an amazing kitchen and stylish bathrooms. The Chef's kitchen has top-of-the line cabinetry with self closing drawers. You will love the double oven. The laminate wood flooring holds up to most everything but looks elegant. Very bright with cathedral ceilings. A great view of one of the 3 pools yet in a private setting surounded by trees. One of the 2 master baths has a jetted tub and beautiful granite cuntertops. There is a tankless water heater, Central Air Conditioning and a newer Maytag washer and dryer. This floor plan has a great flow and there are only 6 of these units in Pacific Ranch which rarely come on the market. Excellent location, walk to Shopping and Huntington City Beach. The Approximately 1,756 Square Foot Property Shows Well!!!!!!!!!! You'll love with this Gorgeous Downtown 3 Bedroom, 5 Bathroom Beach Home that has approximately 2,800 Square Feet of Living Area. Beautiful Chef's kitchen with new expensive appliances including built-in sub zero fridge, elegant granite counters with marble backsplash. Wide plank distressed natural wood flooring. New carpet in living room. Freshly painted with designer colors. New built-in cabinetry with wine cooler in family room. Surround sound. Formal living room with fireplace and new mantle. Large master suite with ocean view and fireplace and ample closet space. Elegant Travertine in resort style master bath with jetted soaking tub. Each bedroom has it's own bathroom.2nd floor laundry. Third floor bonus room and the large 3rd level deck with peek-a-boo ocean view let's you really enjoy beach living. New furnace. BBQ Island. One of the best downtown locations. Cross walk to Huntington City Beach is just 2 blocks. Short walk to Main Street Shops and Restaurant and the excitement is yet not far enough to really enjoy the Beach and hear those ocean waves year around here. This Is A Lot Of Quality House At A Value Price!!!!!!!!!! Absolutely gorgeous 4 Bedroom, 4 Bathroom newer Three Level Home with phenomenal views. You will enjoy the gourmet kitchen with beautiful cabinetry and granite countertops that even has a butler's pantry. The Mater Suite has built-in cabinets and an elegant bathroom with a large granite vanity and his and her sinks. If you love to entertain, then you'll love the roof top deck with cooking area that includes a gas BBQ and sink. The polished hardwood floors, soaring ceilings and fireplace make the living area not just elegant but cozy as well.There is a spacious 2 car garage with direct access and a dumbwaiter to take your groceries up to the kitchen. The views are magnificent. Not just ocean views but mountain views as well. Walk to shops and restaurants. All this just steps to the beach in the quaint beach town of Sunset Beach known for it's amazing sunsets that you'll get to experience living here. Best Of All Is The Approximately 2,250 Square Feet Of Living Area!!!!!!!!!! Now Offered At: $4,500 A Month on a Yearly Lease Basis!!!!!!!!!!!!!!!!! ABOSULTELY GORGEOUS. More than $100,000 in upgrades in this one level Two Bedroom, One Bathroom Huntington Township Town Home located in a quiet section of this wonderful community. Completely remodeled from top to bottom. There is nothing this nice in this price range on the market. Fabulous New Expanded Gourmet Kitchen with new appliances. Double Oven, Microwave, Stove and Refrigerator. Tons of cabinet space. Pull out drawers and wine rack. Breakfast Bar and plenty of counter space. Beautiful Tile floors that resemble wood. New carpeting. Freshly painted with designer paint colors. Custom lighting throughout. Plantation shutters. New windows and doors. Inside laundry with tons of storage. Washer and Dryer included. Custom ceiling fans in bedrooms. Built-in cabinetry in master bedroom. Beautiful Bathrooms with custom tile work. Bedroom and living room wired for flat screen TV's. 2 covered parking spaces right out the side door. Large Attic with more storage space. Association Pool. Great location near Central Park, Shopping & The Beach. This Is The Nicest Place!!!!!!!!!! Please call Cheryl For The Price!!!!!!!!!!!!!!!!! Very clean and neat 3 bedroom, 2 Bathtoom single level Glen Mar Home with approximately 1,415 Square Feet of Living Space in a desired neighborhood. This lovely Home has upgraded features to include central air conditioning, laminate wood flooring, crown molding, beautifully tiled fireplace, designer paint colors and recessed lighting. Handicap features in the master bedroom and bath. Open floor plan in living area. Perfect for investors as present owners would like to stay in the home and rent back. Easy access to freeways and Beaches. You'll Llove this beautiful and bright spacious Five Bedroom, Four Bathroom Huntington Classics Two Level Home with award winning architecture. This home has been expanded with an added bedroom and bath. It also boasts a romantic master bedroom with balcony, fireplace and walk-in closet. The large master bath has a seperate shower, soaking tub and his and her vanities. Three additional bedrooms on the upper level. The lower level flows nicely with a formal living room and formal dining room with wet bar. The ground floor bedroom can be used as an office. The bright kitchen with maple cabinets has a breakfast bar. For those that love to cook there is an indoor grill on the cooktop and newer double ovens or you can go out to the private patio where there is a nice bar area with grill, fridge and fire pit and enjoy the soothing fountain. You can also relax in the exterior spa. The family room is wired for surround sound. There is an indoor laundry room and spacious 3 car garage and all this is just a short walk to The Beach and Downtown. Best Of All Is The Huge Square Footage of Approximately 3,200 Square Feet Of Living Space!!!!!!!!!!!!!!!!!!!!!!!!!!!!!!!!!!!!!!!!!!!! Not a short sale but priced like one on this Beautiful, Spacious, Corner Unit 2 Bedroom, 3 Bathroom Broadmoor Tri-Level Townhome with a good sized 2 car direct access garage. Plenty of natural sunlight makes this unit much brighter than most. One of the best locations on a quiet street with no thru traffic, tucked in the back yet just a short walk to tennis, the pool and Huntington Harbour. The master bedroom, has a romantic fireplace, beautiful views, an enclosed sunroom adjacent to it and you can even hear the ocean waves at night to lull you to sleep. There is also a fireplace in the living room. Each bedroom has their own bath and there is a half bath as well. Upgraded porceline tile floors throughout the first level. The large kitchen has beautiful granite countertops and tons of cabinet space. This guard gated community has so much to offer yet the HOA dues are lower than most. Walk to plenty of shopping and dining such as the weekly Peters Landing Farmers Market. Sunset Beach is just a stroll near this place. This Is Affordable Beach Living At It's Absolute Best!!!!!!!!!!!!!!!!!!!! Please call Cheryl For The Price!!!!!!!!!!!!!!!!!!!!!!!!! Spectacular, massive custom built waterfront home on the main channel with upgrades galore. This is The Largest 5 Bedroom, 6 Bathroom (Approximately) 6,429 Square Foot Home on Davenport Island, you'll want to show it off. Gorgeous views of Huntington Harbour, mountains and ocean. If you like to entertain you'll love the large gourmet kitchen with huge sub zero fridge and freezer or invite your guests to relax in the huge spa that looks out over the harbor, then welcome them to the party room with your huge custom bar. There is also plenty of outdoor space with 2 large sundecks, a large sunroom looking over the harbor and balconies too. Do you like to work-out? Go thru the secret door in the office to your private gym then hit the sauna after. After all the fun, you can retreat to your large master suite and sit back and enjoy more wonderful views. To top it off, this home has a 55 foot private boat dock. Great location, you can walk to the local Huntington Harbour Mall and to The Bolsa Chica State Beach. It Has Lots Of Charm!!!!!! The perfect beach retreat. If you are looking for an affordable place near the beach here it is . Play tennis, go swimming, soak in the spa and walk/ride your bike to The Bolsa Chica State Beach and The Bolsa Chica Wetlands. it's all here at Cabo Del Mar. This popular loft model condo has approximately 748 Square Feet of Living Space with a nice sunny balcony. Granite countertops in the Kitchen and Beautiful upgraded flooring throughout the home. Cozy fireplace in Living Room Spacious loft with closet. Excellent location. It Has Lots Of Charm!!!!!!!!!!!!!!! Elegant Designer Three Bedroom, Three Bathroom Two Level Home located very near to The Beach in Prestigious Greystone Landing. Gourmet kitchen with granite counters and newer appliances. Relax on the large private back patio with soothing waterfall, new landscaping and new sprinkler system. Fantastic patio cover with romantic custom lighting. Designer paint colors and recessed lighting throughout the home. Wired for surround sound system. Family room with fireplace with gas logs. Master bedroom has a walk-in closet. Master bath has dual sinks, soaking tub and seperate shower. Plantation shutters throughout. 2 car garage with 5 layer epoxy flooring. Driveway has space for additional parking. Don't miss the adorable playroom located under the stairway. Beautiful gated community with pool and low HOA dues. Excellent location, backs to quiet street and just a short distance to all the fun Downtown Huntington Beach has to offer. You'll Like The People In This Association Here!!!!!!!!!!! Please call Cheryl For The Price!!!!!!!!!!!!!!!! This Beautiful Two Bedroom, Two Bathroom Seabreeze corner unit, Townhouse style condo comes with large loft. A wonderful place to say it's your home in a quiet neighborhood with a pool and volley ball court for fun and lovely courtyards to relax or walk your dogs. This home has 2 large very private patios, one in back and one in front. Loads of upgrades to include newer windows and newer Kitchen and Baths. Excellent home for entertaining with Spacious Kitchen with Granite counter tops and a wet bar. Large loft has room for a king size bed and plenty of furniture and a Walk-in closet and full bath. First level bedroom is also spacious with it's own bath. The living room has cathedral ceilings and a cozy fireplace. This home even has room for a full size washer and dryer and it has Central Air! There is a semi-formal dining area between the kitchen and living room. Plantation curtains, newer carpeting and stylish paint. Situated in a Fabulous location near plenty of shopping, dining, churches, Helme Park and the Beach. This Place Shows Very Nicely!!!!!! Please call Cheryl For The Price!!!!! Lovely 3 Bedroom,2 Bathroom Single Level home on quiet tree-lined cul-de-sac near the beach and shopping, with plenty of upgrades. Updated Kitchen with nice island, granite counters, newer cabinets and newer appliances. Updated bathrooms. Jetted bathtub for relaxing. Covered patio in front and back. Scraped ceilings. Newer dual paned windows. Laminate wood flooring great for kids and pets. 2 car garage with newer roll-up garage door. Newer 50 gallon hot water heater so you will never run out of hot water. Newer furnace. Large lot with vegetable gardens. It Shows Superbly With Approximately 1,100 Square Feet Of Living Space!!!!!! Please call Cheryl For The Price!!!!!!! KELLER WILLIAMS REALTY NOW LEASED!!!!!! Fabulous Ocean Views from this large 4 Bedroom, 4 Bathroom home located on the Ocean Side of Pacific Coast Hwy. Living room with balcony and Fireplace. Built in Bar near Dining Room. Spacious Kitchen. Large roof top deck with BBQ. Large Master retreat with balcony, walk-in closet and master bath has soaking tub and seperate shower. Additional Loft area makes a nice office. Freshly Painted. Dumbwaiter. The beautiful quiet beach is just a few steps. Enjoy the sunsets Sunset Beach is famous for. Walk to many restaurants and shops. It's The Best Lease You'll Find!!!!! KELLER WILLIAMS REALTY IT'S NOT ON THE MARKET NOW!!!!!! Enjoy the Sunset Beach lifestyle. Best value in Sunset for a duplex. Rent one and live in the other or convert back to one unit. Upgraded Kitchens and baths. Upper unit has 2 good size bedrooms with plenty of closet space. Master bedroom has large walk-in closet. Both kitchens have breakfast bars. Upstairs unit has fireplace and balcony with peek-a-boo ocean view and full harbor view. Downstairs unit has good size bedroom, full bath, living room and kitchenette. Great income potential for weekly vacation rental. Large 2 car garage. Short walk to beach, shops and restaurants. Freshly painted with new carpet in upper unit. Ocean side of Pacific Coast Hwy. Located between Huntington Beach and Seal Beach. No HOA dues. It's the perfect little beach town with quiet beaches and glorious sunsets. It Is A Regular Sale!!!!!! Beautiful Bolsa Landmark 4 Bedroom, 3 Bathroom home priced well below market value for SUPER QUICK SALE. Updated beautiful kitchen with Stainless appliances and granite counters, Sub Zero Fridge, dual ovens and pull out cabinets. Updated bathrooms. Crown molding and designer paint colors throughout. Newer upscale carpeting. Formal Living Room with fireplace and Formal Dining room. Large Master Bedroom with walk-in closet. Awesome Pool and spa in back yard. 3 car garage. Home is in great condition and great location just steps to Central Park. Near the Beach with a great neighborhood and schools. NOT A SHORT SALE. This Is The Best Deal In The Area!!!!!! Beat The Bank!!!!!! Spacious 4 bedroom, 3 bath Maybrook home in sought after neighborhood perfect for a large family. Excellent curb appeal with professional landscaping. Many upgrades to include the granite counters and maple cabinets in the Sunny Kitchen. Also has double ovens and a garbage compactor. Brand New roof and newer windows. Huge bonus room, perfect for billards or play room or convert into 2 more bedrooms. Very large master bedroom with its own bathroom and ample closet space. One of the 4 bedrooms is located on the ground level as is another bathroom. Large formal living room with fireplace. Formal dining room and Family room close to kitchen. Great location. Quiet inside tract. Walk to Bella Terra Mall, Parks and Great Schools. (The middle School was voted one of the best in the OC.) Huntington Beach School District. Easy freeway access. 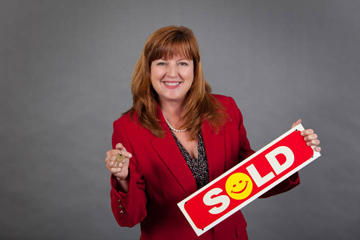 Motivated Sellers, Not A Short Sale!!!! BEAUTIFUL OCEAN VIEWS, See All The Way To Catalina! Get The Views From This Ocean Breeze Condo Is In A Pristine Location., Nestled In The Middle Of The Complex Looking At The Association Swimming Pool And The Ocean So You Don't Have Street Noise. There Are 2 Bedrooms, 2 Bathrooms And Approximately 1,075 Square Feet Of Living Space. Amenities Include: Professional Paint With Designer Colors, Ceiling Fans In The Bedrooms, And In The Living Room, A Gorgeous Kitchen With All Newer Stainless Appliances Including A Refrigerator. You Even Get The Washer/Dryer Too. Located Across The Street Is The Beach. Walk To The Pier And Downtown. The Views Are Worth A Thousand Words!!!!! KELLER WILLIAMS REALTY IT'S NOT ON THE MARKET YET!!!!!! More than $250,000 worth of premium upgrades in this magnificent home with award winning architecture, perfect for those who love to entertain and appreciate superior workmanship. This is a Huntington Classics 4 Bedroom, 3 Bathroom home. Custom designed and expanded gourmet kitchen with large island, upgraded appliances and custom maple cabinets. The Huge 3 car garage is every guys delight with custom cabinets and flooring. There is a bedroom on the first floor presently used as an office with upscale French doors and designer paint. The Formal Dining Room has an elegant custom wine rack. Living room and Family room both have fireplaces. One of 3 patios boasts a large heated spa with waterfalls that are elegantly designed. This home is beyond spectacular. Walk to The Huntington Beach Civic Center as well as Downtown Huntington Beach Shops, Restaurants, Entertainment and The Pier. In This 3,040 Square Foot House It Shows Immaculately Everywhere!!!!! 3 Bedroom, 4 Bathroom Downtown Huntington Beach Three Level Home with Approximately 2,800 Square Feet of Living Space and a Roof Top Deck. It Is Snazzy with Lots Of Space!!!!! Spectacular Curb Appeal on this Expanded 5 Bedroom Prestige Pool Home. Large Master Bedroom with walk-in closets and beautiful new master bathroom with cathedral ceiling, and large walk-in shower.Enjoy the solar heated pool that is surrounded by lovely landscaping. The additional 4 bedrooms are all very spacious. The hall bathroom is also remodeled as is the downstairs powder room. There is a formal dining area, large living room and family room with new carpeting and fireplace off the kitchen.Scraped ceilings and crown molding throughout the home. The kitchen has a bar area. This beautiful home also boasts new upscale windows and doors throughout. There is a 2 car direct access garage and a bonus room off the master bedroom. Situated in an Excellent location, near shopping, parks and schools. Inside tract location. It Has Good Square Footage!!!!! KELLER WILLIAMS REALTY Now Leased!!!!! Absolutely Stunning executive 2 Bedroom, 3 Bathroom condo with ocean views. The entire condo is upgraded with the very best of workmanship and materials. Expanded gourmet kitchen with stainless appliances and long bar for dining. Beautiful Luxurious Bathrooms. Hardwood flooring through out. Lower patio and upper balcony both have ocean views. If you are looking to impress your guests, it doesn't get any better than this. Walk to Downtown Shops, Restaurants and Entertainment. You'll love this very spacious, very bright townhome with 2 large bedrooms and large loft which can easily be converted to 3rd bedroom. More than 2000 square feet of living space - this is amazing. So rare to find something this large and this new for this price. Great location, in a quiet cul-de-sac Large Sunny Gourmet Kitchen with Stainless appliances, granite counters and maple cabinets. 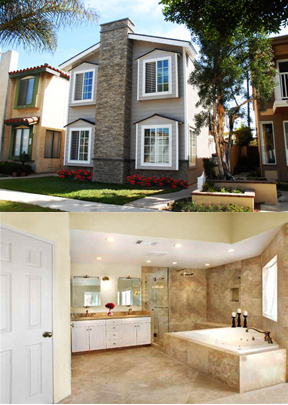 Huge master suite with elegant bath, spa tub with jets, dual vanities and large walk-in closet. Upstairs laundry. Large living room with fireplace. Two balconies, two patios. Large 2 car attached garage with easy access to kitchen. Central A/C. Plantation Curtains. A great house at a great price. Walk To Five Points Plaza For Shopping And Restaurants. Just A Short Bike Ride To The Beach. Fantastic location directly across the street from Burke Park in the great Whitehall By The Sea neighborhood, near Beaches. This 4 bedroom, 3 bathroom 1,785 square foot (approximately) home has an updated kitchen with stainless appliances, Updated baths, fireplace in family room. Painted neutral colors, Nice big garage. Yard with Palm trees. Just needs some finishing touches. What A Very Nice Property!!!!! GOT TOYS? This Single Level 3 Bedroom, 2 Bathroom Premier home has a 4 car garage with lots of storage space above the garage and an extra wide driveway. Plenty of parking for your cars, boats and all those toys. Updated Kitchen, designer paint colors, large very nice family room addition. Great location, walk to schools, parks, shopping and 24 hour Fitness Center and just a bike ride to the beach. Great Family home with lots of room to play. Front gated patio. Fireplace in Living Room. Eating area in kitchen and additional room for formal dining. Many upgrades. There's Good Square Footage For The Price Here!!!!! KELLER WILLIAMS REALTY SALE PENDING!!!!! Absolutely stunning inside and out. The OC Register says one of the 3 best views from this 3 Bedroom, 4 Bathroom, 3,000 square foot home in all of the OC. This elegant homes faces the ocean and backs to the Harbor so you have incredible views of the harbor with the mountains in the background from one side of the house and the ocean with Catalina Island in the background from the other side of the home. Large formal living room with fireplace and wetbar. Gourmet Kitchen and dining room look right out to Huntington Harbor, yet this home fronts the greenbelt not PCH. Huge master retreat with walkin closet. Soaking tub in master bath. The two other bedrooms both have their own baths. Powder room on main level. Huge roof top deck with glorious ocean and harbor views. Enjoy the most magnificent Sunsets you will ever see. After all that is what Sunset Beach is famous for. Wonderful yet quaint Beach town with shops and restaurants a short walk From Sunset Beach is right next to Huntington Beach. Pride In Ownership Is Evident Here!!!! The Bolsa Park single level Home has 3 Bedrooms, 2 Bathrooms and approximately 1,268 square feet of living space. It sits on a corner lot in a choice neighborhood. You Can See Why It Sold Quickly!!!!! This Is The Perfect Dutch Haven Marina Single Story Home For Those Who Are Looking To Downsize And Live In A Resort Like Setting Without The HOA Fees Or Stairs Or Just Starting Out Your 1st Time Family Home, This Meet's Everyone's Needs. Absolutely Gorgeous. There Are 3 Bedrooms And 2 Bathrooms..Amenities Include: New Windows, New Doors, An Updated Kitchen With Beautiful Limestone Counters, Updated Baths, Fresh Interior And Exterior Paint And A Roof With A Lifetime Warranty. It's Currently Owned By A Very Popular Local Interior Designer, This Home Belongs In A Magazine. The Owner Even Offers Free Designer Tips With Your Purchase Or You Can Negotiate The Furnishings. The Back Yard Is Like An Additional Room With A Covered Patio Also It's Newly Painted. The Yard Is Professionally Landscaped And Is Absolutely Beautiful. Situated Inside The Tract Within Walking Distance To Central Park And Award Winning Hope View Elementary School. Truly An Absolute Must See!!!!! It's All Furnished As Well!!!!! Great Downtown Huntington Beach Location with terrific ocean views. Wonderful home for Entertaining with Gourmet Kitchen, Large Patio with BBQ Bar, and Top Floor Entertainment Room with a Large Beautiful Built-in Wet Bar and 2 balconies. Mr. and Mrs. Clean live here and they are getting their home in tip-top shape with even more upgrades. Plans are in the works to have this home ready for sale next month. Need more space? You've got it with this BIG BEAUTIFUL HUNTINGTON CLASSIC HOME with 3 bedrooms plus large office. Award winning Architecture. Huge master bedroom with large walk-in closet. This home boasts tons of living space and is perfect for entertaining with a formal living room and large formal dining room with wet bar, family room and not one but 2 half baths on the first floor. Country kitchen with breakfast area. 3 private patios, 2 balconies and a very large 3 car garage with alley access.Water softner, 3 fireplaces, laundry room with sink, dual A/C. Fantastic, perfect location, quiet street and good neighbors. W alk to the Beach, The Civic Center and near Downtown yet just far enough from the hustle and bustle of the busy downtown atmosphere. It's A Very Good Deal!!!!!! KELLER WILLIAMS REALTY A fantastic place to retire and NO LEASE PAYMENTS. Upscale senior guard gated community with lots to do. Enjoy the association pool, spa, tennis court, club house, billard room, card room - you'll never be bored again. This large home which boasts approx. 2000 square feet of living space was recetnly upgraded with new tile floors, new carpeting, new lighting, new paint (designer colors), new celing fans and you'll love the floor plan. Nice big enclosed front porch, Huge living room with wet bar, formal dining room, eat in kitchen and 2 good size bedrooms and baths. The master bath has a low step down bathtub, perfect for seniors. Nice big carport and a beautiful garden in the back with sweet smelling plumeria and roses. Includes washer, dryer, refrigerator, stove, microwave. Super clean, just pack your bags, bring your furniture and move right in! Just Contact Cheryl Now And It Could Be Yours!!!!!! Totally Upgraded And Beautiful Is This 2 Bedroom, 2 Bathroom Pacific Ranch Condo And It's The Lowest Priced Property Currently On The Market In The Entire Development. Amenities Include: An Upgraded Kitchen With Granite Counters, Custom Cabinets With Pull-Outs, Stainless Appliances, Hardwood Floors, Berber Carpeting In The Bedrooms, An Updated Bathroom With Tile Floors, A Tile Around The Tub And Shower, Stone Counters, Ceiling Fan And A Custom Fireplace. For A Full Price Offer You'll Get The Refrigerator, A Beautiful Living Leather Couch And A Loveseat With A Matching Coffee Table With Dining Room Furniture. The Washer And Dryer Are Included Too. There's Even Storage Access In Addition To Your One Car Garage. You'll Love Pacific Ranch, Which Is A Secure Guard Gated Community With The Nicest Guards You'll Ever Meet - They Really Look After You. The Grounds Are Always Kept Beautiful. It's A Peaceful Association. Now This Is Like Being On A Vacation Year Around In Surf City, USA!!!! KELLER WILLIAMS REALTY BEAUTIFUL OCEAN VIEWS, See All The Way To Catalina! Get The Views From This Ocean Breeze Condo Is In A Pristine Location., Nestled In The Middle Of The Complex Looking At The Association Swimming Pool And The Ocean So You Don't Have Street Noise. There Are 2 Bedrooms, 2 Bathrooms And Approximately 1,075 Square Feet Of Living Space. Amenities Include: Professional Paint With Designer Colors, Ceiling Fans In The Bedrooms, And In The Living Room, A Gorgeous Kitchen With All Newer Stainless Appliances Including A Refrigerator. You Even Get The Washer/Dryer Too. This 5 Bedroom, 2.5 Bathroom Southport Pool Home Is The Ideal Place For Entertaining. It Has Approximately 2,100 Square Feet Of Living Space. The Unique L-Shaped Pool With Fountains Makes For Loads Of Fun. The Sunny Kitchen Has A Garden Window, Stainless Steel Appliances, Double Wall Ovens, A Trash Compactor And It Includes The Refrigerator. The Upgraded Bathrooms Look Super Snazzy With Neutral Color Tile Patterns. There's A Professionally Painted Interior With Designer Colors. All Of The Bedrooms Are Good Sized. Relax Next To Your Fireplace In The Master Suite Which Is Quaint For Those Romantic Evenings When You Want To Hide From The Kids. You'll Even Get An Additional Fireplace In The Formal Living Room. The Family Room Is Adjacent To The Kitchen. Relax In Your Nicely Landscaped Yard With Fruit Trees. A 2 Car Attached Garage And Air Conditioning Give This Property Charm. The Washer/Dryer Is Yours Too. Walk To The Beach And Edison High School. Move-In And Enjoy It Now!!!!! Gorgeous Only Begins The Words Used In Describing This 2 Bedroom, 2 Bathroom With A Large Loft Villa Model That Has A Private Secluded Patio Situated Amongst The Trees In One Of The Most Peaceful Locations In Pacific Ranch. You Get Approximately 1,415 Square Feet Of Living Space Here. Amenities Include: Luscious Hardwood Floors In The Entry And Kitchen, A Professional Paint Job With Designer Colors Makes This An Extraordinary Place For Your Style. Enjoy Eating Your Breakfast On Your Private Balcony. There's A Pass Through Bar That Leads From The Kitchen To The Dining Area Which Is Awesome For Entertaining. You Even Get A 1 Car Garage With Assigned Parking And Plenty Of Guest Spots. When Purchasing In This Guard Gated Association You Get Access To Several Swimming Pools, Spas, Clubhouses And Lush Walkways. Near Shopping And The Civic Center. My Sellers Are Very Motivated!!!!! Situated In The Midst Of Naples Island Is This Two Story Home With 2 Bedrooms And 2 Bathrooms Downstairs And 1 Bedroom And A Bathroom Upstairs That Has A Separate Kitchenette. 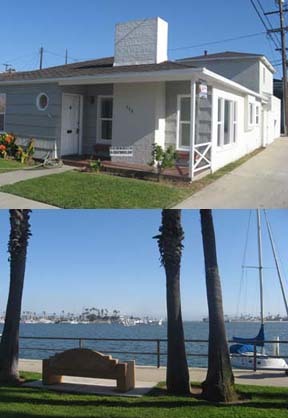 Just 3 Short Blocks To Alamitos Bay And Steps To Restaurants. This Single Story 4 Bedroom, 2 Bathroom Franciscan Fountains Home Comes With Approximately 1,800 Square Feet Of Living Space. It Sits On A Good Sized Lot Of Approximately 7,700 Square Feet With Recreational Vehicle Or Boat Parking And A Detached 2 Car Garage That Is Entered Through A Long Driveway. Enjoy The New Paint, New Flooring, New Carpeting, New Windows As Well As The Excellent Curb Appeal. Walk To Central Park And An Award Winning Junior High School. Ocean Front sprawling beach house with 3 bedrooms , 3.5 baths, huge living room, large enclosed deck, extra room for your surfboards and wetsuits to hang. outside shower. Surf, swim, fish or sit back and watch those glorious sunsets. The large home is located right on the sand with absolutely beautiful views of the ocean from inside the home. Step out the back door and you are on the beach. Walk to 27 restaurants and bars. Great fun-filled beach town located between Huntington Beach and Seal Beach adjacent to the Bolsa Chica State Beach. Move-In Ready Are The Words Used In Describing My Newest Listing In The Lakewood Park Neighborhood. There Are 3 Bedrooms And 1 Bathroom In Approximately 1,200 Square Feet Of Living Space In The Single Story Home. Amenities Include: A Large Kitchen With A Retro O'Keefe Gas Stove, A Formal Dining Room With A Ceiling Fan, Refinished Hardwood Floors, New Berber Carpet In The Bedrooms, New Flooring In The Kitchen, Fresh Interior And Exterior Paint With Scraped Ceilings, An Inside Laundry Room, A Private Back Yard With Fruit Trees, A 2 Car Detached Garage As Well As An Extra Large Driveway With RV Parking. Just Steps To Jose Del Valle Park And Walking Distance To Shopping. It's The Best Deal In Town!!!! Attention. 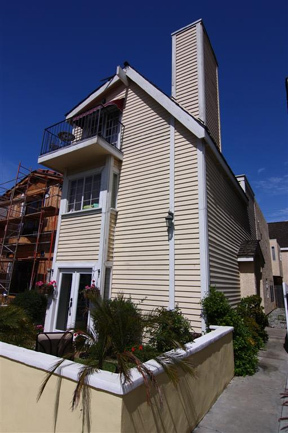 This Is A Foreclosure Two Story Gables Townhome In Huntington Harbour. There Are 2 Bedrooms, 1.5 Bathrooms And Approximately 1,228 Square Feet Of Living Space. Amenities Include: A Remodeled Kitchen And Baths In Addition To Direct Garage Access. The Living Room Comes With A Cozy Fireplace. The Master Suite Has A Dressing Area With A Sink As Well As A Vanity. You Even Get A Nice Patio. Best Of All You're In A Guard Gated Community With A Swimming Pool And Spa. Close To The Beaches And Shopping!!!!! Truly An Exceptional Value It Is!!!! KELLER WILLIAMS REALTY Take A Short Walk To Central Park Which Includes A Dog Park, A Fantastic Restaurant, The Equestrian Center, Shipley Nature Center And A Fun Fishing Lake And You Don't Have To Cross Any Busy Streets From This Charming Two Story Spiral Staircase Franciscan Fountains Model. There Are 4/5 Bedrooms (The Master Suite Has Been Expanded To Include A 5th Bedroom), 3 Baths And Approximately 2,606 Square Feet Of Living Space. Amenities Include: A Sunny Kitchen With An Adjoining Family Room As Well As A Cozy Fireplace, A Formal Dining Room, An Inside Laundry Room With Storage, A Walk-In Closet In The Master Suite, A 2 Good Sized 2 Car Attached Garage, Plantation Shutters And A Beautiful Yet Private Back Yard With A Large Producing Avocado Tree. Best Of All Is The Awesome Neighborhood With Top Rated Schools!!!!! What A Good Value This Is For The Area!!!!! What An Impressive Remodeled Single Story Plaza Home This Is. There Are 3 Bedrooms, 2 Baths And More Than 1,200 Square Feet Of Living Space. Amenities Include: New Carpet, Fresh Interior And Exterior Paint, A Spacious Living Room With A Fireplace, A Retro Kitchen With A Breakfast Nook, An Inside Laundry Room, Real Hardwood Floors, Newer Central Air Conditioning And A Detached One Car Garage. Your Bonuses Are: A Beautiful Rose Garden. A Covered Back Patio As Well As New Counters In The Kitchen And Baths. You're Situated In A Quiet Interior Tract Location On A Tree-Lined Street That Is Within Walking Distance To El Dorado Park And Golf Course. It's The Best Value In The Entire Area!!!!! This Is Our Newest Listing On A Two Story 5 Bedroom, 2 Bathroom Glen Mar West Home In South Huntington Beach. It Has More Than 2,000 Square Feet Of Living Space. Amenities Include: Fresh Interior And Exterior Paint, New Flooring In The Kitchen As Well As In The Dining Room And Entry Way. Enjoy New Carpeting In The Bedrooms, A 2 Car Attached Garage And A Fireplace In The Living Room. There Are 3 Bedrooms Upstairs And 2 Bedrooms Downstairs. Walk To A Neighborhood Park And School. The Sellers Are Relocating So They Need A Quick Sale!! KELLER WILLIAMS REALTY Location, Location, Location. This Two Story Goldenwest Park Home Sits Directly Across The Street From A Neighborhood Park. You'll See The Lush Green Field From The Living Room And Bedroom Windows And Not Your Neighbors House. It's Beautiful On The Exterior As Well As The Interior. The Large 5 Bedroom, 3 Bathroom House Has Approximately 2,520 Square Feet Of Quaint Living Space. Amenities Include: A Formal Dining Room, A Living Room With Vaulted Ceilings, A Remodeled Kitchen With An Eating Space, A Large Family Room With A Fireplace, A Gated Front Yard With Ornamental Plants And Fruit Trees, You Even Get A 2 Car Attached Garage. Best Of All You're Near Shopping, Glen View School, Restaurants And Freeways Too. It's A Gorgeous Residence At A Phenomenal Price!!!!! KELLER WILLIAMS REALTY Located In Such A Beautiful Gated Community Is This Extra Large Clean End Unit That Has 2 Master Suites Upstairs. Each Of Them Have Their Own Full Bathroom And 1/2 Bathroom Is Downstairs. You Get A Formal Living Room And A Full Breakfast Nook With Built-In Seating. The Open Floor Plan Comes With A Huge Kitchen. Enjoy Approximately 1,582 Square Feet Of Living Space And 2 Subterranean Parking Spaces. See The CC&R'S For Pets (No Dogs). Relax In The Association Swimming Pool And In The 2 Jacuzzis With A View Of City Lights And The Saint Vincent Thomas Bridge. It's Priced Very Well For Your Immediate Sale!!!!! This Is Such An Absolutely Beautiful Single Story 3 Bedroom, 2 Bathroom Landmark Home With Approximately 1,746 Square Feet Of Living Space. Amenities Include: A Great Room For Entertaining, Gorgeous Landscaping From The Green Thumb Owner, A Fireplace In The Living Room, New Carpet And Paint In The Living Room As Well, New Berber Carpeting In The Great Room And A 2 Car Attached Garage All On An Interior Corner Location In A Choice Neighborhood. The Purchaser Receives A One Year Home Warranty!!!!! KELLER WILLIAMS REALTY For Those Of You Who Are Seeking A Beautiful Two Story Spacious Townhome Style Villas Condo, Here It Is!!!! The Popular Floor Plan Comes With 2 Bedrooms, 2 Full Baths Upstairs And A Half Bath Downstairs In Approximately 1,164 Square Feet Of Living Space. Sensational Amenities Include: Hardwood Floors, A Beautifully Updated Powder Room, A Formal Dining Room, Vaulted Ceilings In The Bedrooms, Recessed Lighting, An Excellent Private Covered Patio, A Covered Carport And Attic Storage. Best Of All You Have An End Unit With No Neighbors On One Side. Situated In An Excellent Location Which Is Close To Shopping And Superb Restaurants. KELLER WILLIAMS REALTY This Is Such A Charming North Long Beach Single Story Victorian Style Home That Is Truly A Must See!!!!! The House Has 3 Bedrooms, 1 Bathroom, Approximately 816 Square Feet Of Living Space And It Sits On A Good Sized Lot Of Approximately 5,900 Square Feet So You Have A Large Private Yard For Entertaining. The Following Amenities Are Included: Designer Paint, Window Coverings And A Nice Country Kitchen. Your Bonus Is A Large Front Screened In Porch Which Is Great For Reading Or Just Plain Relaxing On Those Warm Summer Days. There Is Even A 2 Car Detached Garage. Close To Shopping, Schools And Lots Of Freeways. It Has Lots Of Charm, So You Should Purchase It Now!!!!! KELLER WILLIAMS REALTY You'll Be Impressed With This Absolutely Beautiful Two Story Landmark Home Near The Gorgeous Beaches. It's Also Located In An Excellent South Huntington Beach Neighborhood. There Are 5 Bedrooms, 3 Bathrooms And Approximately 1,898 Square Feet Of Living Space In This Exceptional Property. Amenities Include: A New European Master Bathroom, A Huge Open Kitchen With An Adjoining Family Room That Has A Fireplace, Excellent Curb Appeal, Lush Landscaping, A 3 Car Attached Garage With Built-In Storage, Freshly Painted On The Interior And Exterior As Well As New Flooring. You Can Walk To A Neighborhood School And Park. This Is Lots Of Residence For A Great Price!!!!! This Is An Absolutely Elegant Tri-Level Home In The Prestigious Guard Gated Seacliff On The Greens Association. The Wonderful Residence Features 3 Bedrooms With An Office, 2.5 Baths And Approximately 2,341 Square Feet Of Living Space. Amenities Include: A Formal Living Room With A Fireplace And Wet Bar, A Sunny Gourmet Kitchen With Stainless Steel Appliances, Granite Countertops, Custom Cabinets With Pull-Out Shelving, Double Ovens, A Breakfast Bar And A Built-In Breakfast Nook. Enjoy A Formal Dining Room. Relax In Your Room While Sitting Next To A Cozy Fireplace And Watching The Plasma Television. There Is A Wonderful Master Bedroom Suite That Incorporates An Additional Fireplace, A Sitting Area And A Wrap-Around Balcony. Your Bonuses Are: California Closets In All Of The Bedrooms And A Walk-In Closet In The Master Suite. The Elegant Master Bathroom Has Custom Fixtures As Well As A Spa Tub. A 2 Car Attached Garage Provides You With Storage, Recessed Lighting And Epoxy Flooring. Catch The Cool Ocean Breezes On One Of Two Balconies And The Private Patio Has A Fountain. The Plantation Curtains, Central Vacuum And Upgrades Galore Are Reasons That You Want To Purchase This Exciting Residence. The Peaceful Location Is Superb. Walk To The Beach Or Take A Swim In The Pool.. It's Exquisite In Every Aspect!!!!! KELLER WILLIAMS REALTY Excellent Value!!!! This Is An Exciting Two Story Aliso Viejo End Unit Townhome That Features 3 Bedrooms, 1.5 Bathrooms And Approximately 1,174 Square Feet Of Living Space. Enjoy A Great Location With 2 Spacious Patio's. There Is A Balcony Off Of The Bedroom. Enjoy A Spacious Living Area With New Carpeting Which Extends To The Stairs And All Around This Property Too. You'll Like Having Inside Laundry. You Even Get The Washer And Dryer Too. No Mello Roos. Near Exquisite Shopping And Schools. What More Could You Want, It's All Here!!!!! Welcome To This Beautiful Garden Grove Home That Is Located On A Quiet Cul-De-Sac In A Great Neighborhood. The Single Story House Comes With 3 Bedrooms, 2 Bathrooms And Approximately 1,291 Square Feet Of Living Space. Amenities Include: Gorgeous Hardwood Floors, Newer Paint Inside And Outside, A Brand New Central Heating System, An Attic Fan, 3 Skylights, A Wonderful Back Yard That Comes With An In-Ground Spa, A Covered Patio And Fruit Trees Such As A Lemon And An Avocado Tree. This Property Also Has Great Curb Appeal With A Brick Driveway And A Walkway. A 1 Year Home Warranty Is Included Too!!!! 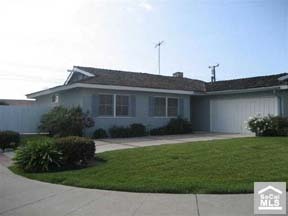 Close To Freeways, Pacifica High School And Shopping! 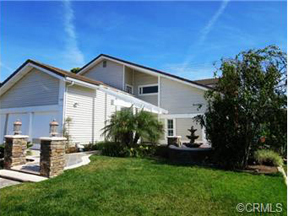 Check Out This Terrific Costa Mesa Family Home That Has Scraped Ceilings In Most Of The House. Amenities Include: New Paint, A New Bathroom, A Tile Entrance And Kitchen. You Also Get New Carpeting, Two Patios, A Large Yard And A Cozy Living Room With A Fireplace.There Are A Total Of 3 Bedrooms, 1.5 Bathrooms And Approximately 1,213 Square Feet Of Living Space In This Sensational House!!!! 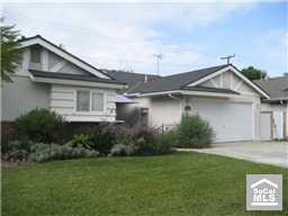 Here Is A Wonderful Huntington Beach Single Story Home With Lots Of Potential!!!! It Is On A Large Corner Location Of Approximately 7,000 Square Feet. The House Has 3 Bedrooms, 1.5 Bathrooms And Approximately 1,033 Square Feet Of Living Space. Amenities Include: A Gated/Recreational Vehicle Parking Area, Inside Laundry, Fresh Paint, Carpet And Flooring. You Also Get A Block Wall All Around The Property, An Extra Wide Driveway Leading To The 2 Car Garage That Has 220 Voltage. Located In A Great Neighborhood In The Excellent, Sensational Huntington Beach Unified And The Huntington Beach Union High School District!!!! Close To Shopping, The 405 Freeway And The Beach Too!!!!! You Can Make Me Your Offer Now!!! Wonderful Is The Word That Best Describes This Single Story Huntington Beach Home With Lots Of Potential!!!! It Features 3 Bedrooms, 1.5 Bathrooms, Approximately 1,033 Square Feet Of Living Space And It Sits On A Nice Sized Lot Of Approximately 6,000 Square Feet. Amenities Include: A 2 Car Garage, A Security System, Beautiful Landscaping, An Upgraded Kitchen With Corian Countertops And Hardwood Floors. Situated In A Great Neighborhood Within An Excellent School District. Close To Shopping, Freeways And The Beach!!!! This Is Currently One Of The Best Priced Homes On The Market In All Of Huntington Beach!!!! KELLER WILLIAMS REALTY This Is A Beautifully Remodeled Villa Warner Condo That Comes With 2 Bedrooms, 2 Bathrooms And Approximately 1,100 Square Feet Of Living Space. Enjoy Cooking In A Gorgeous Kitchen And Relax In The Open Living Room With A Crackling Fireplace. There Is Also Newer Paint, Mirrored Closet Doors, Newer Carpet, Newer Doors And Two Parking Spaces. Walk To The Association Swimming Pool. Just A Short Drive To The Beach And The New Bella Terra Shopping Center. You Can Now Catch Those Cool Ocean Breezes!!!!! PLEASE BE SURE TO MENTION TO CHERYL THAT YOU SAW THEIR WEBPAGE ON CALCOASTHOMES.COM! !